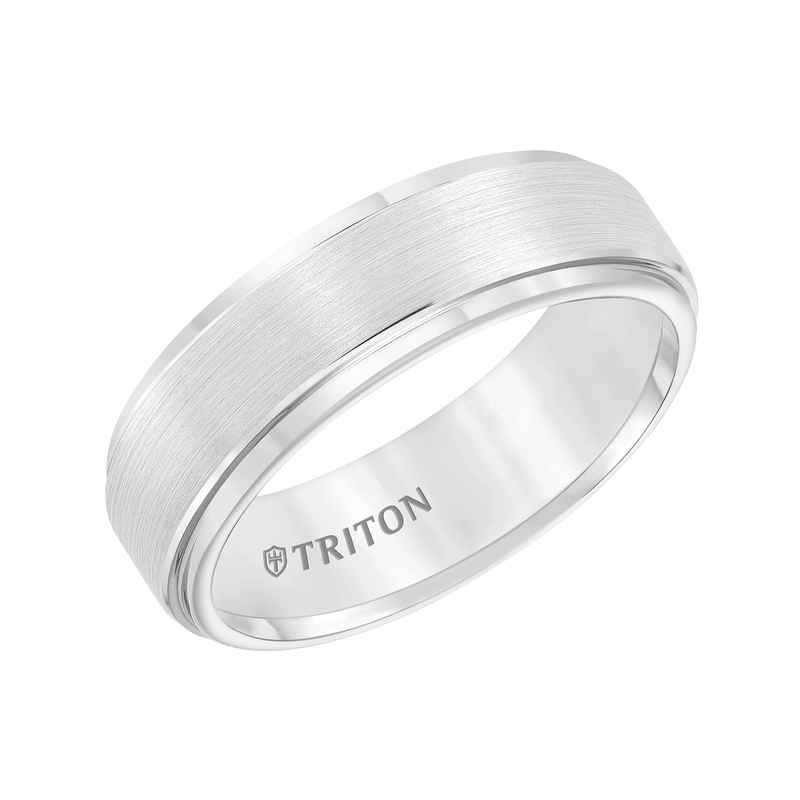 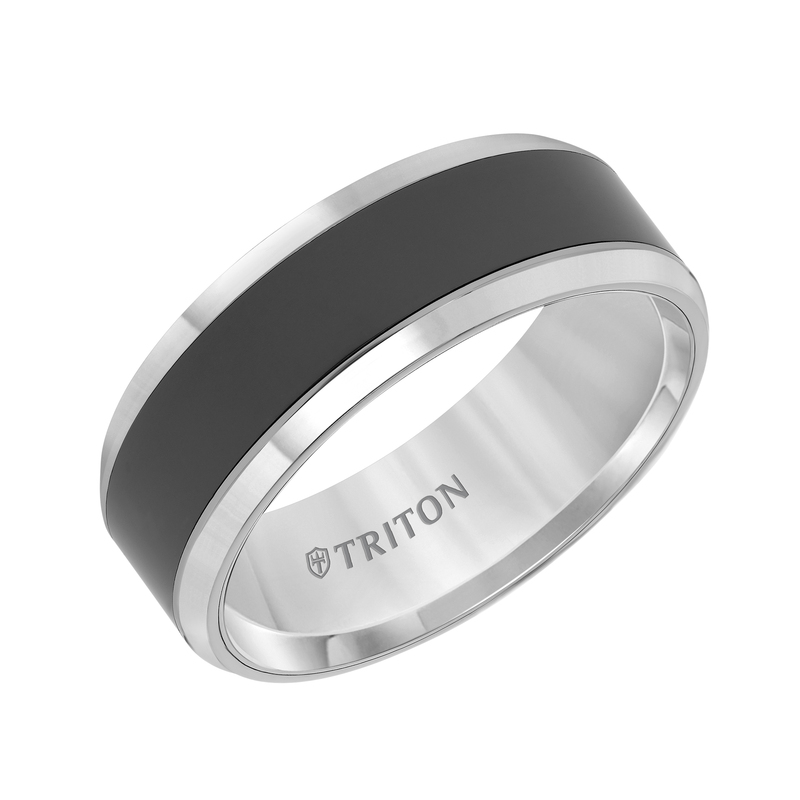 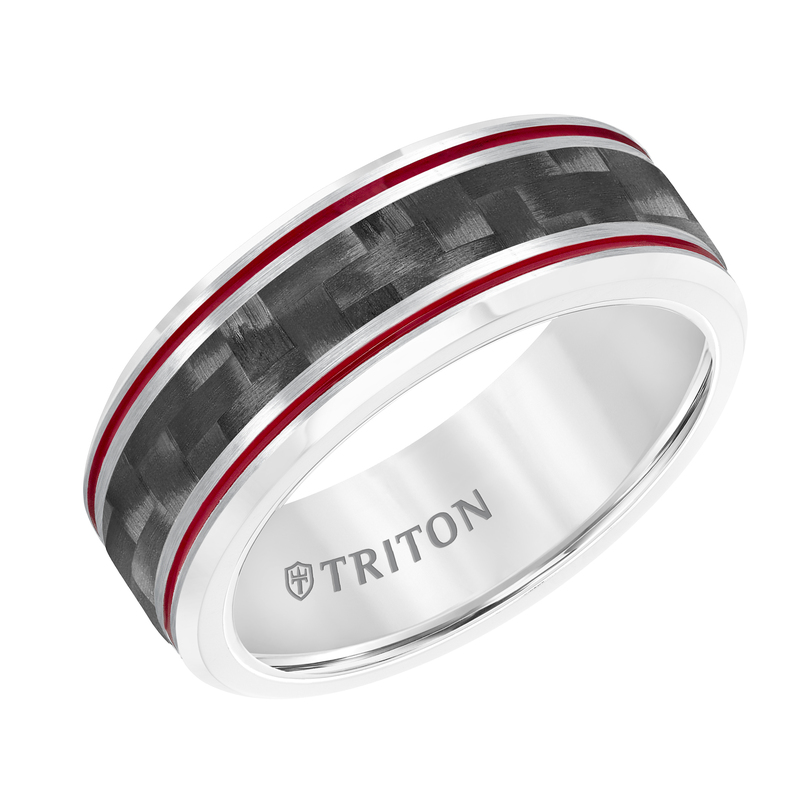 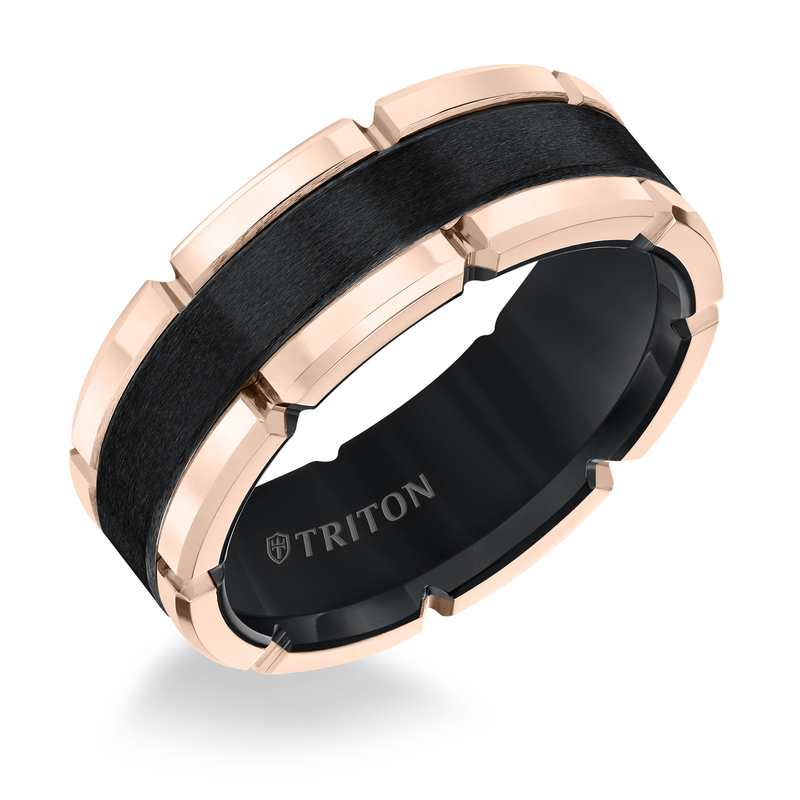 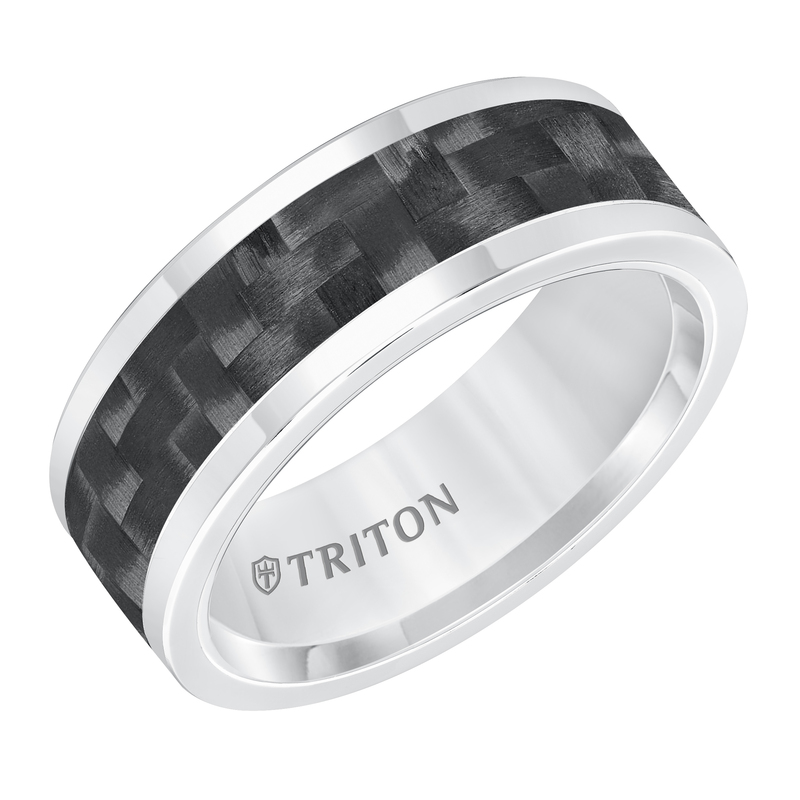 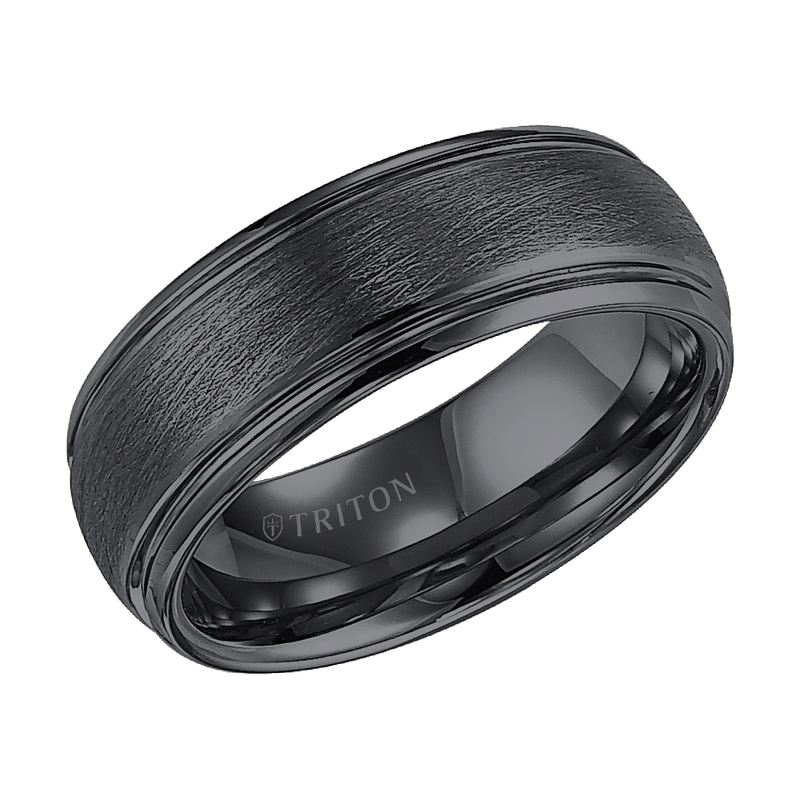 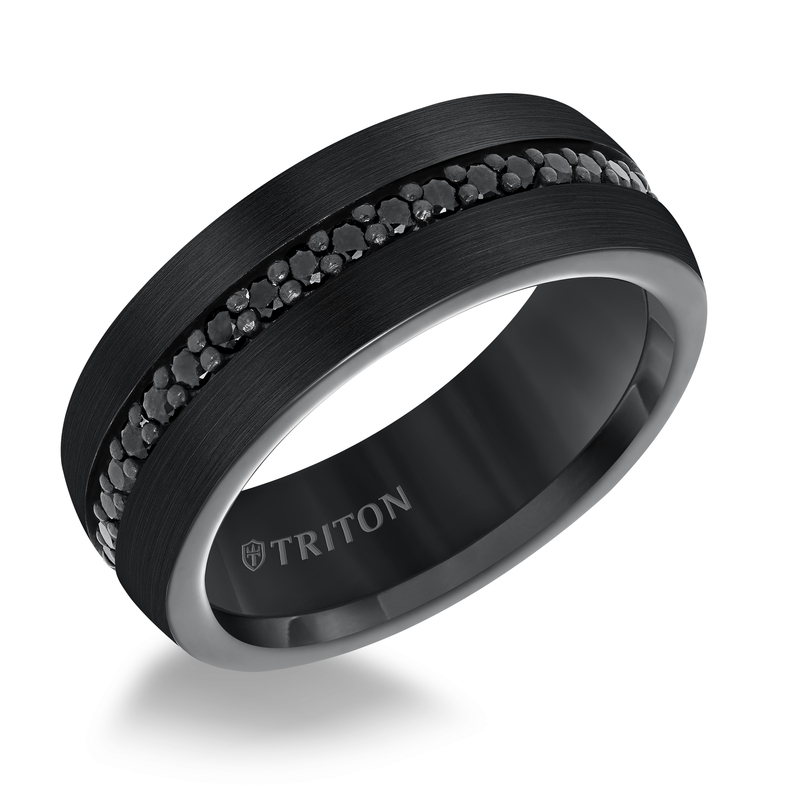 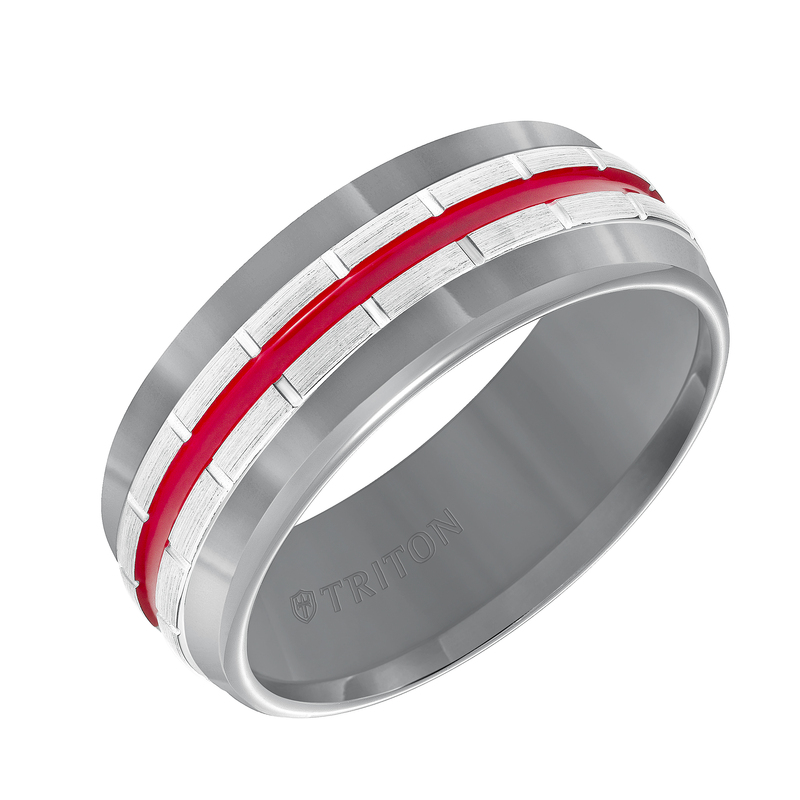 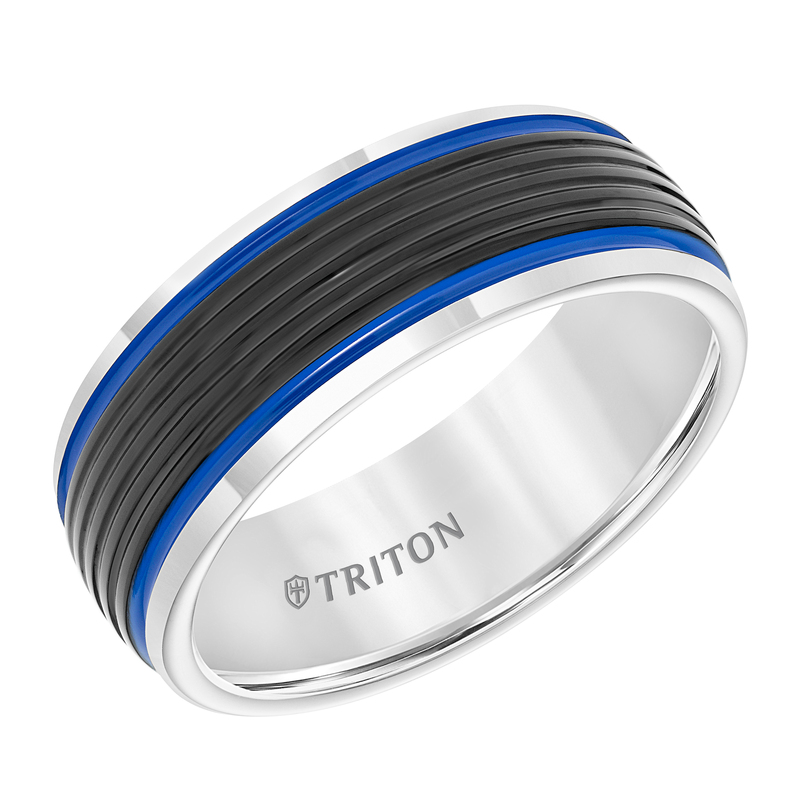 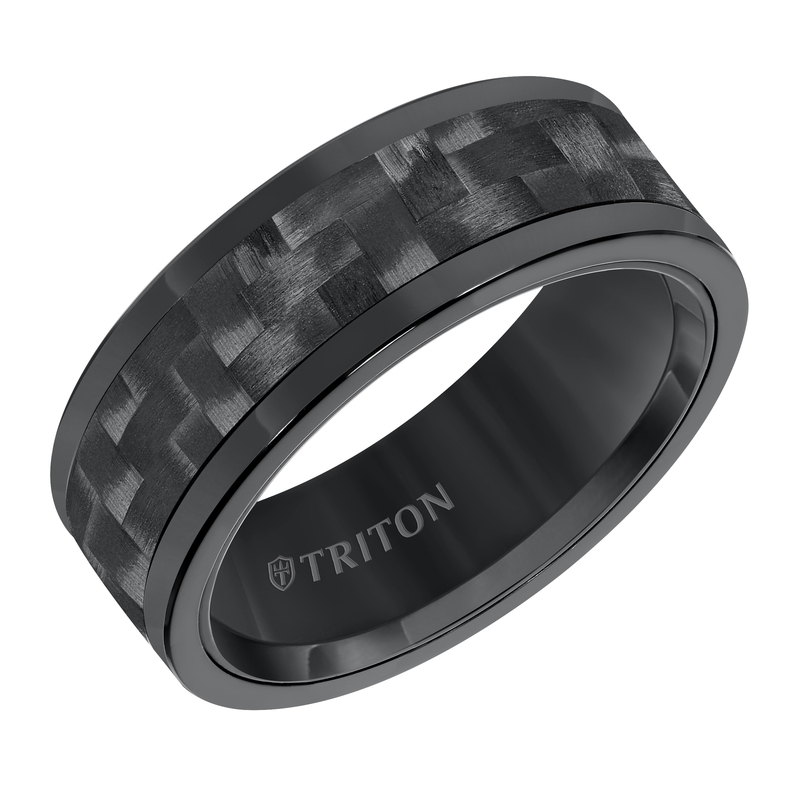 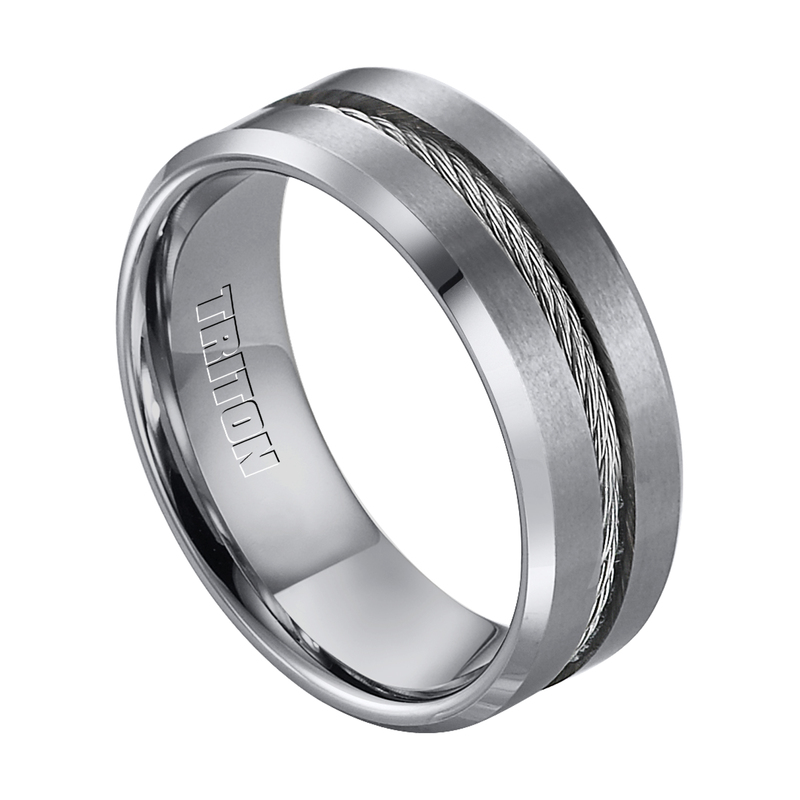 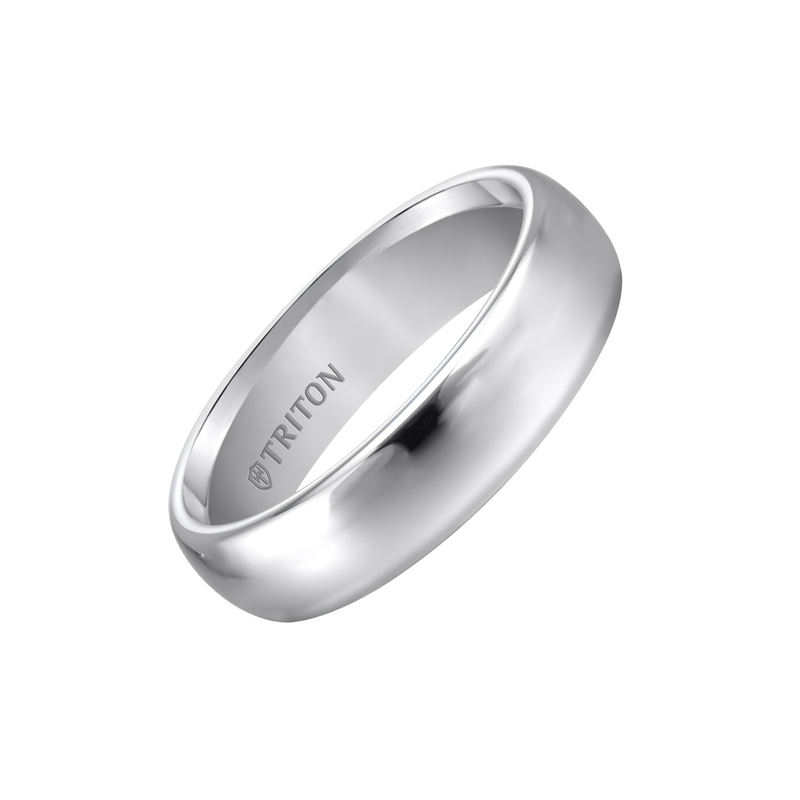 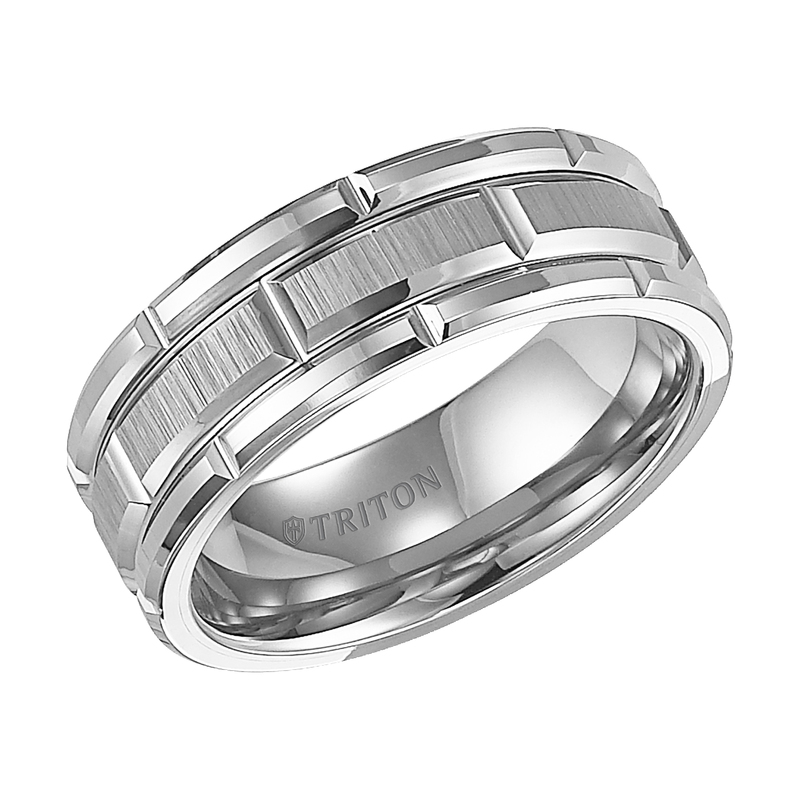 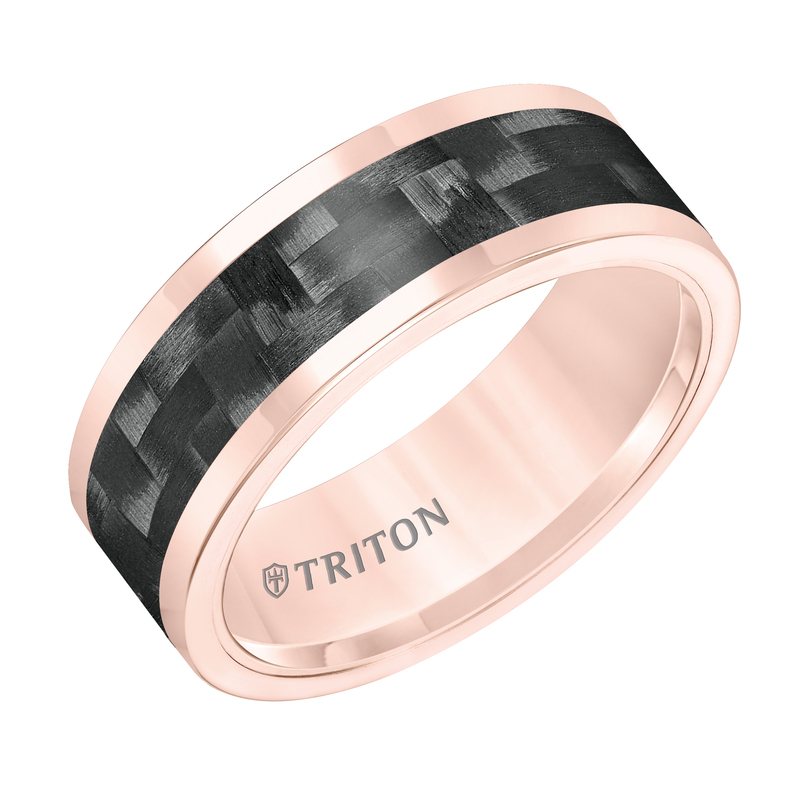 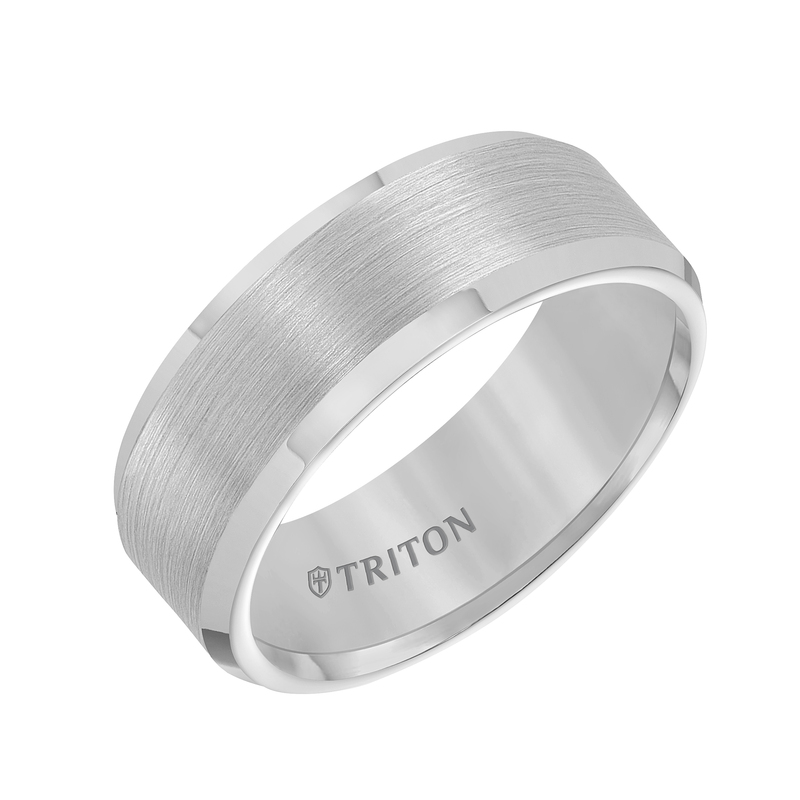 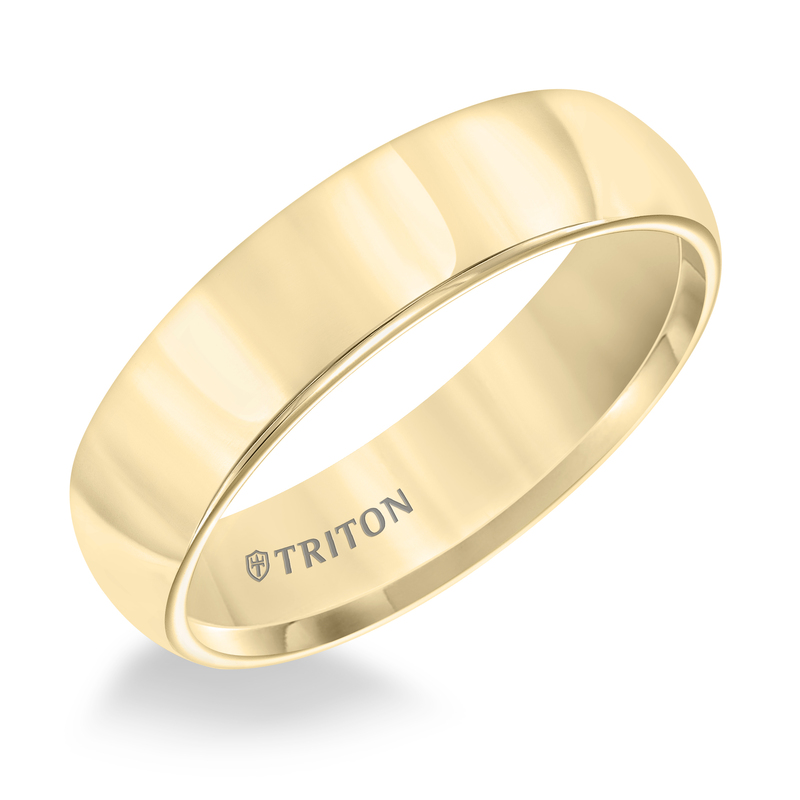 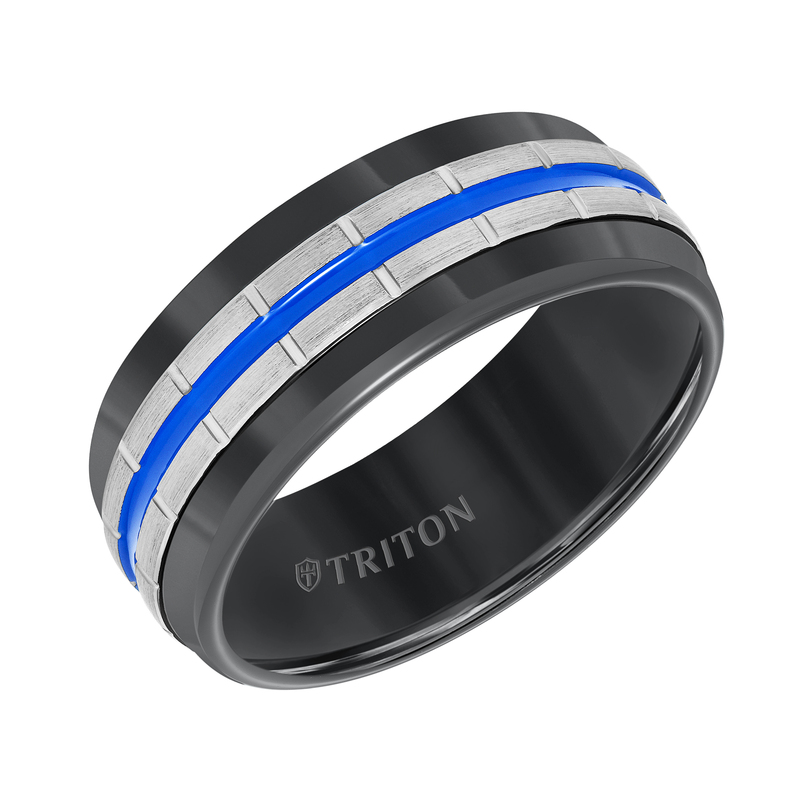 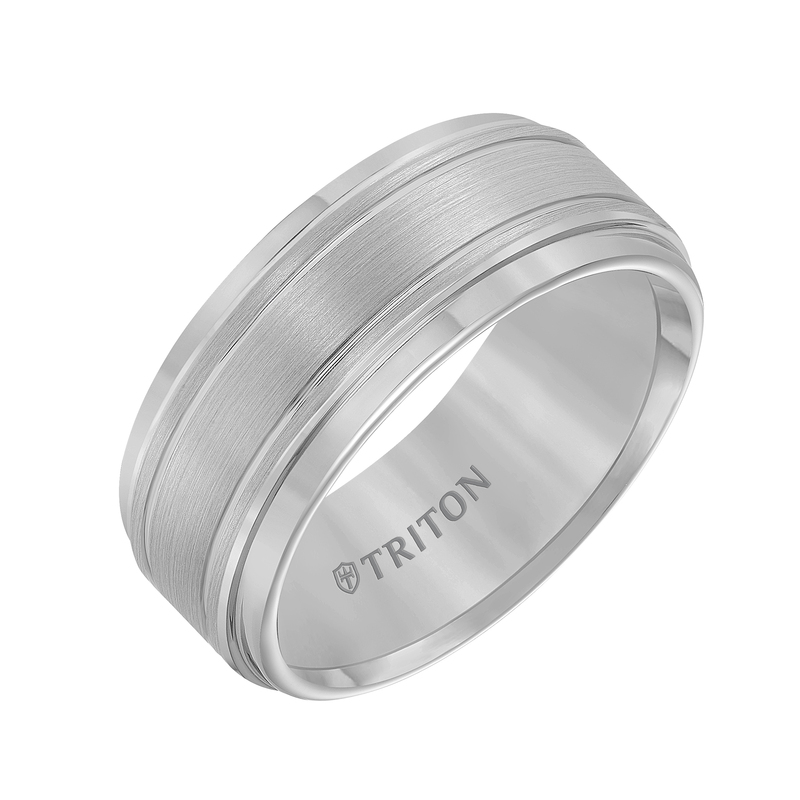 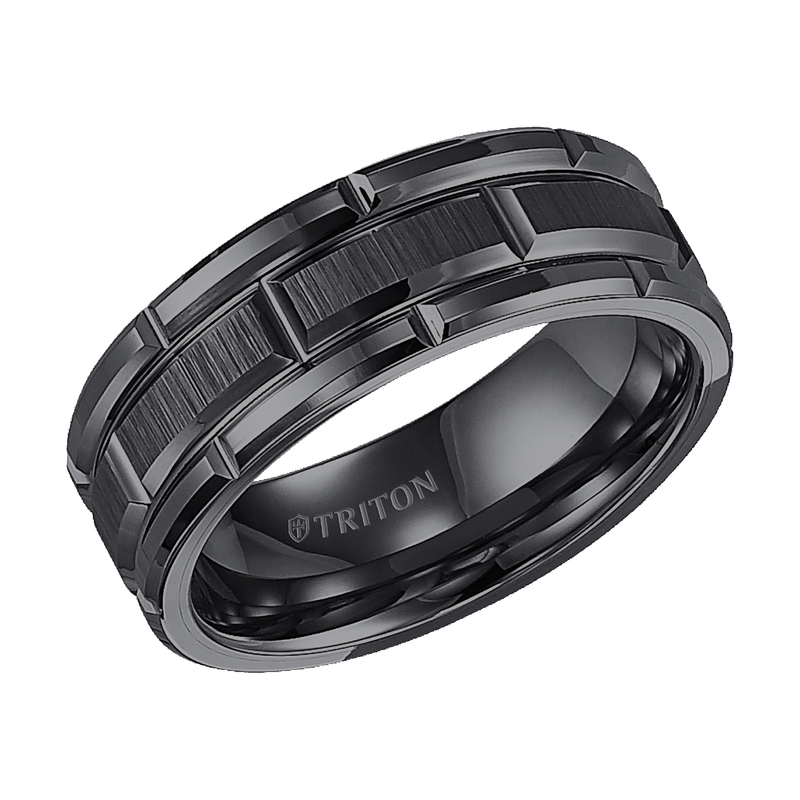 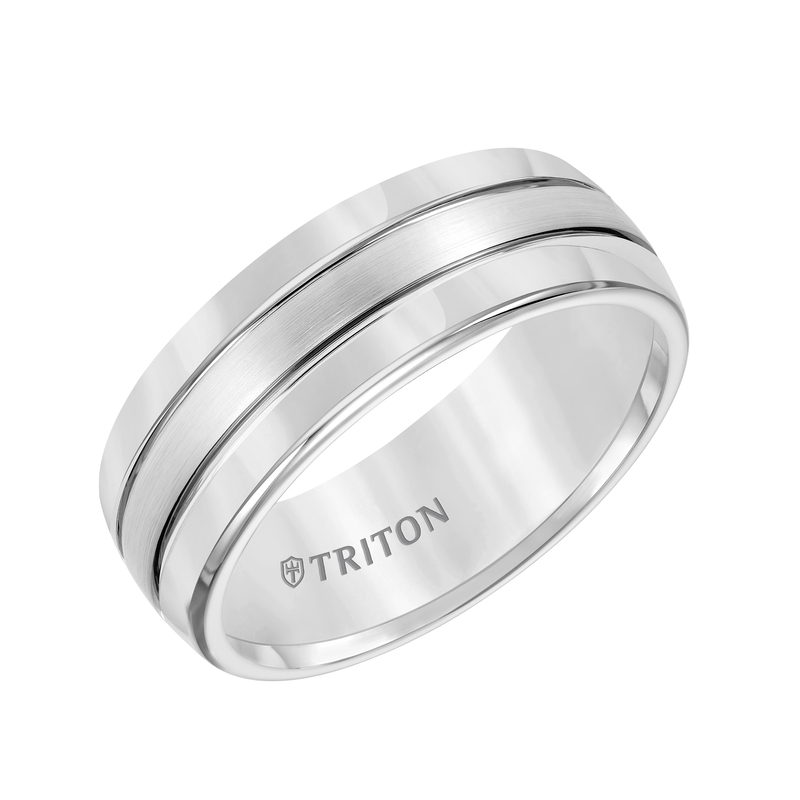 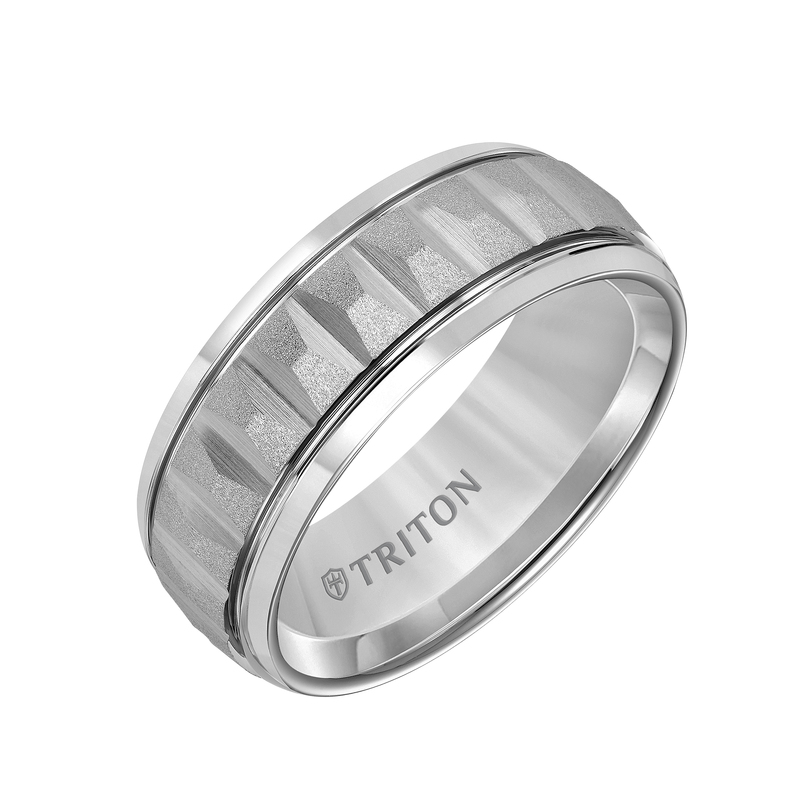 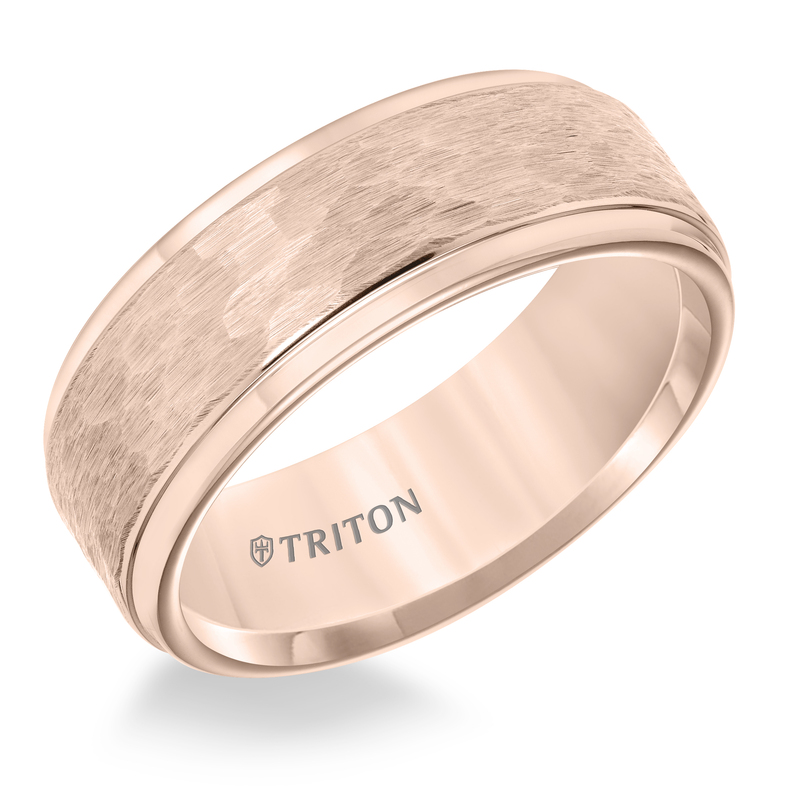 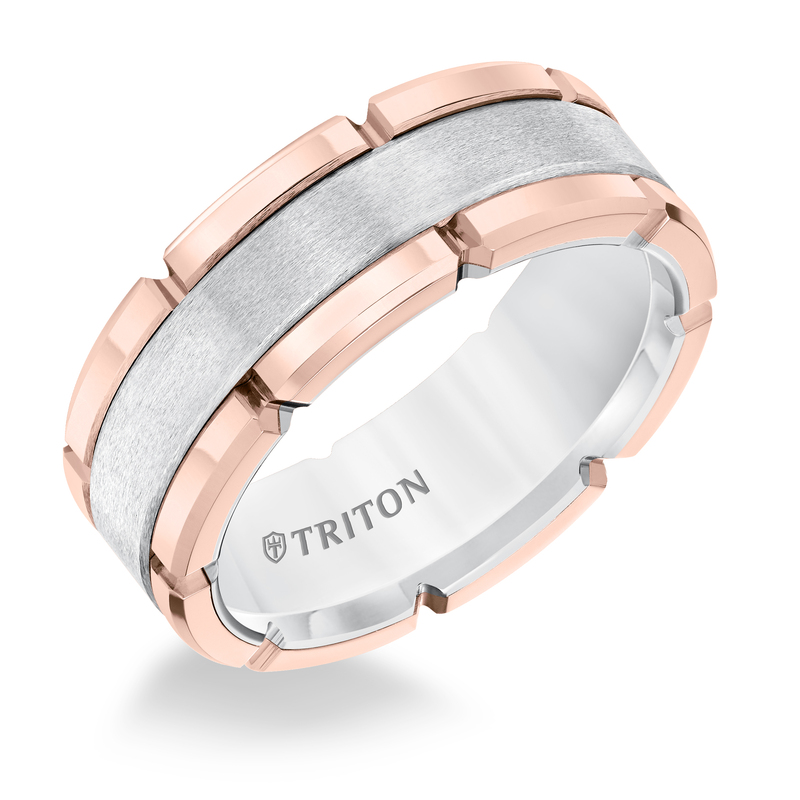 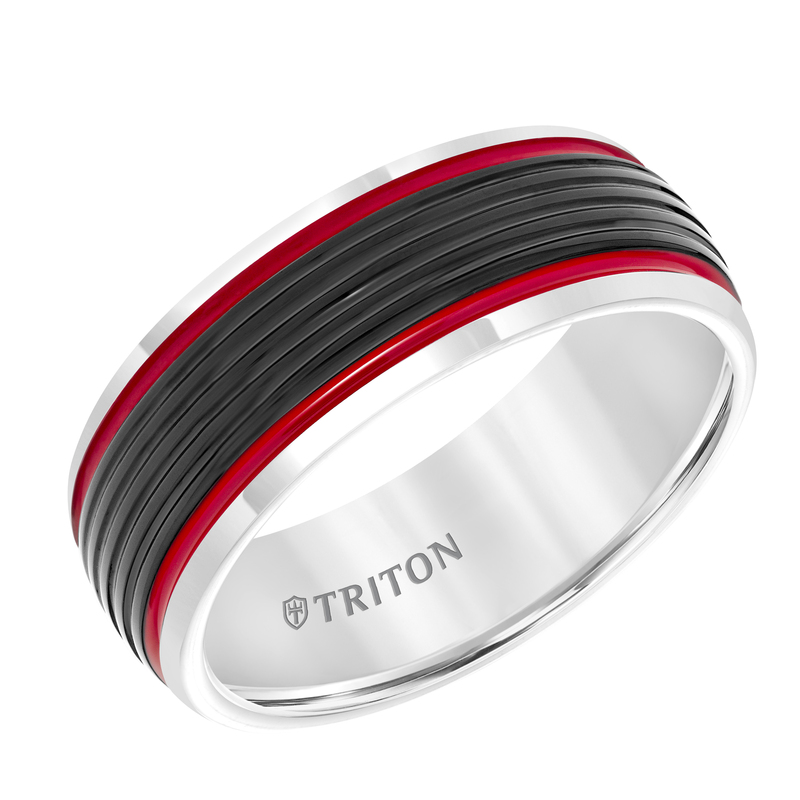 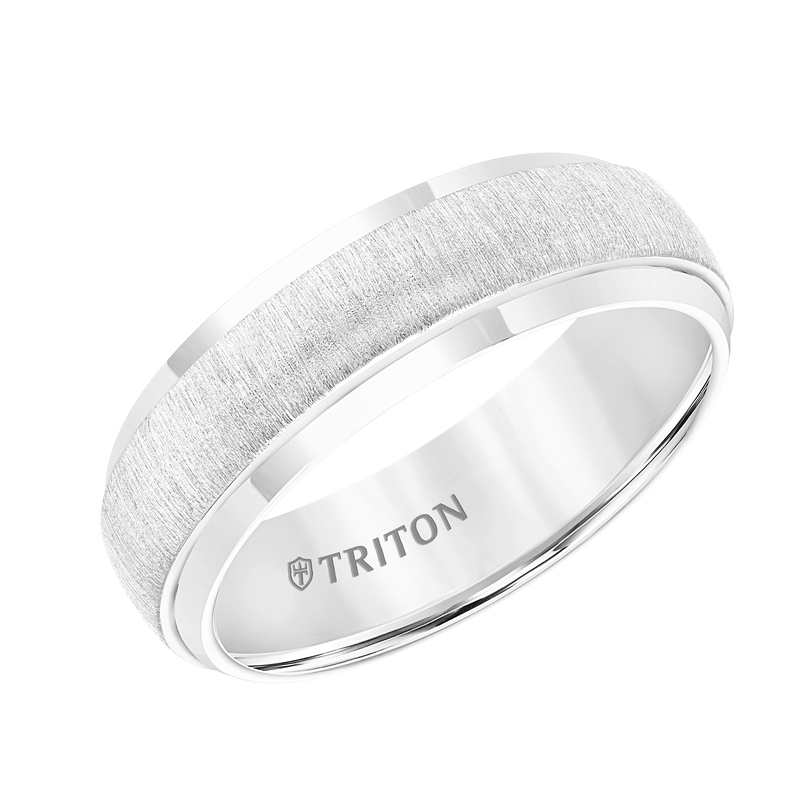 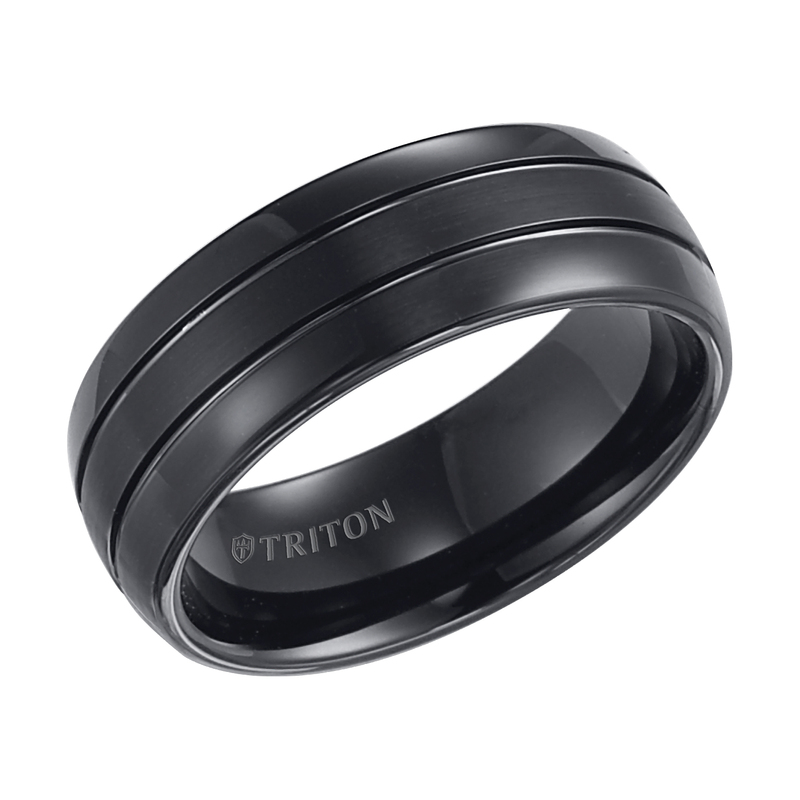 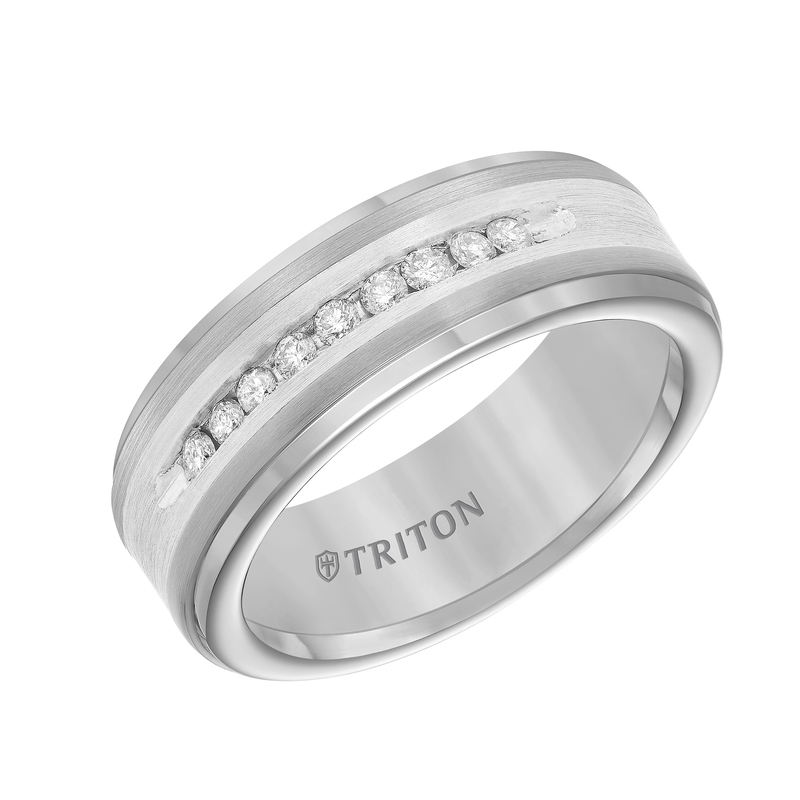 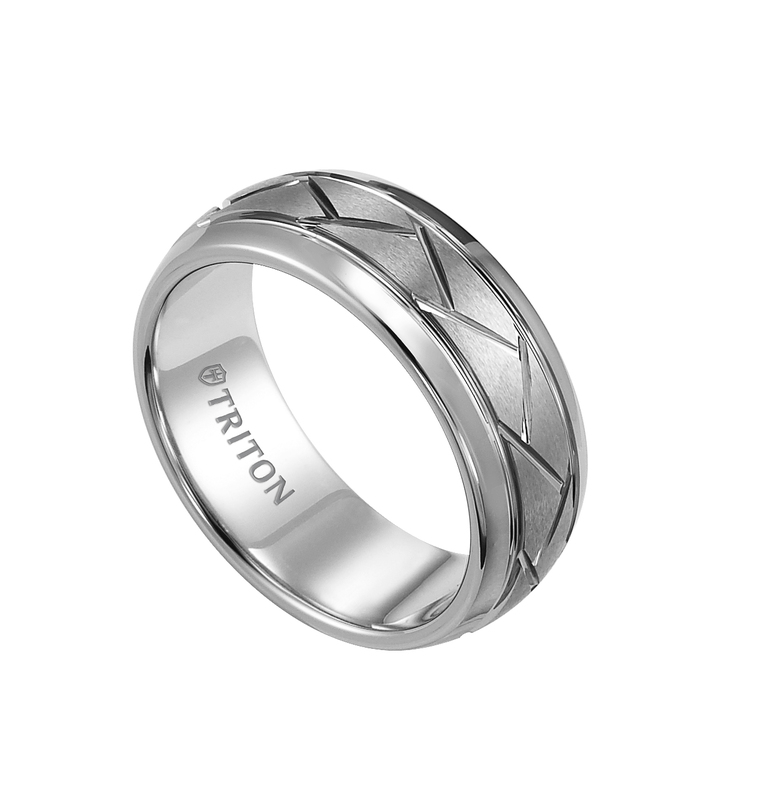 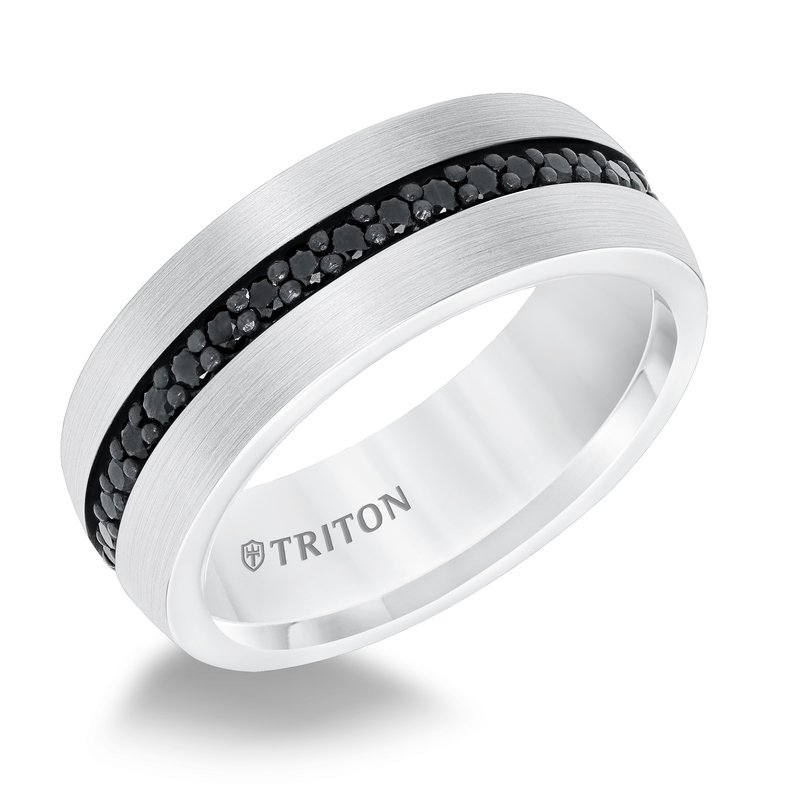 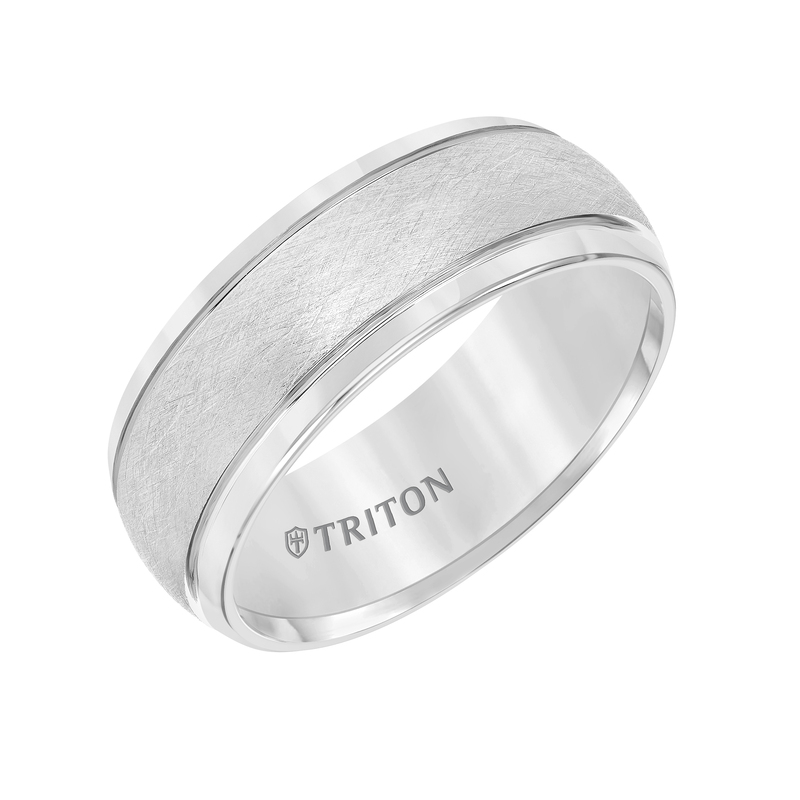 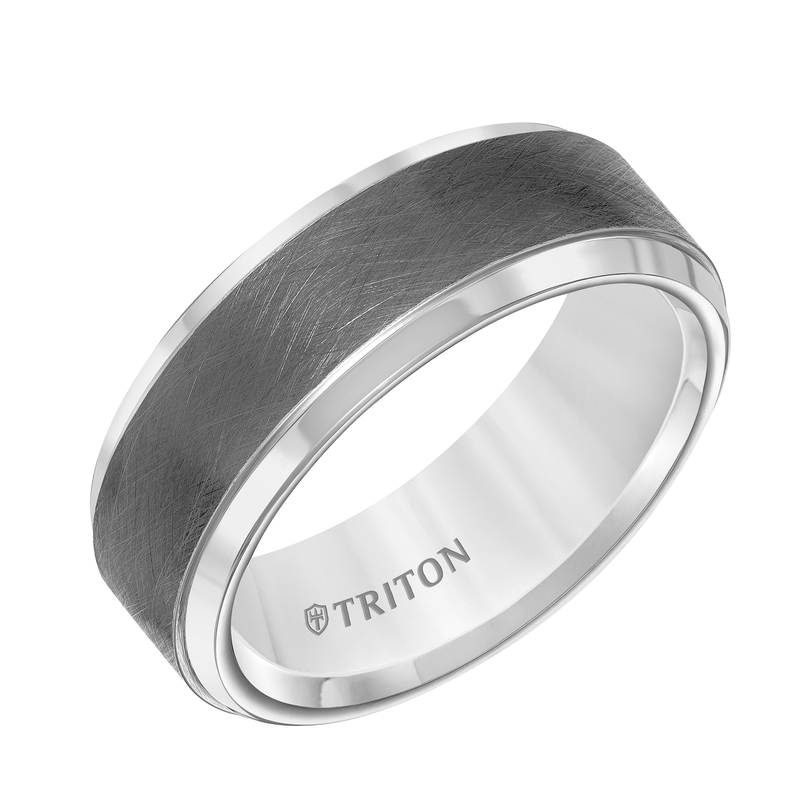 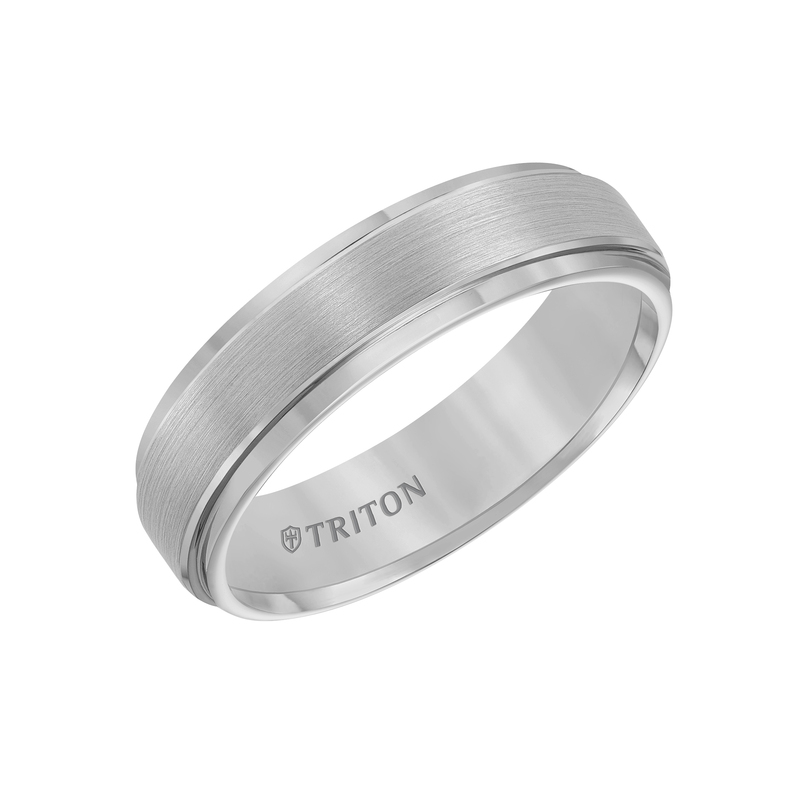 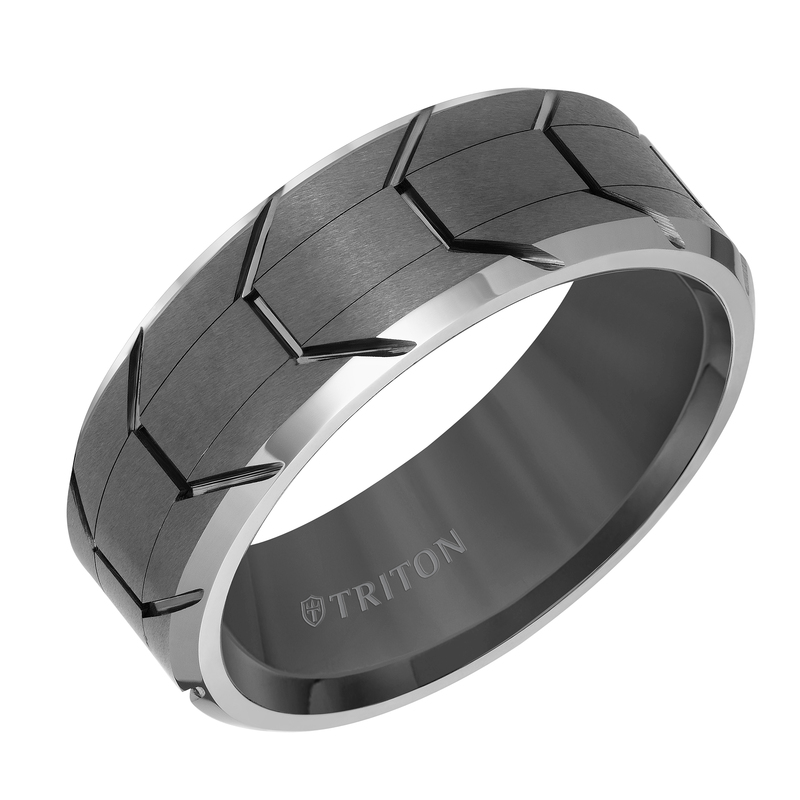 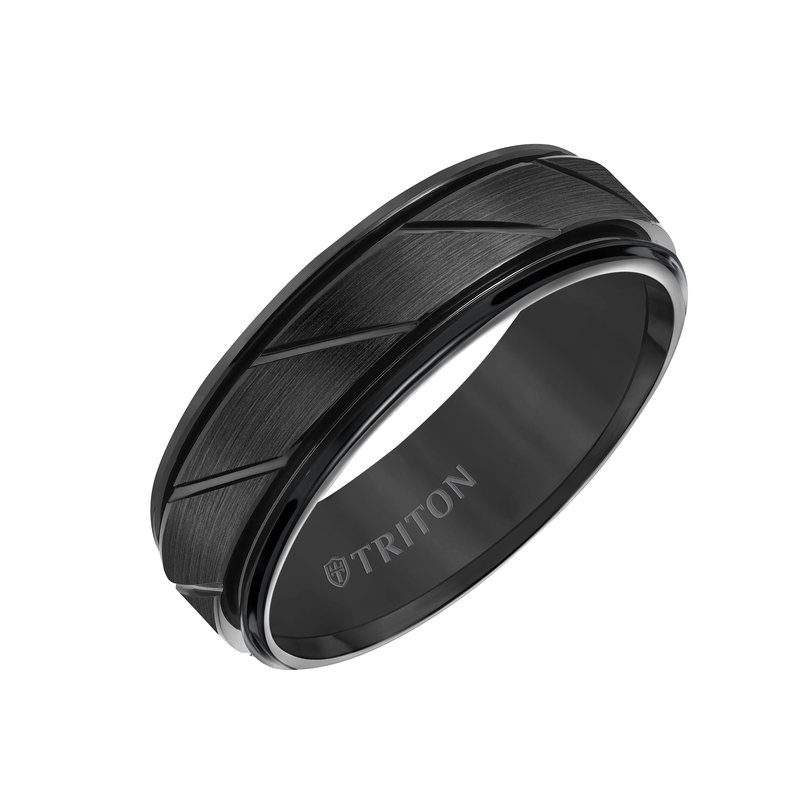 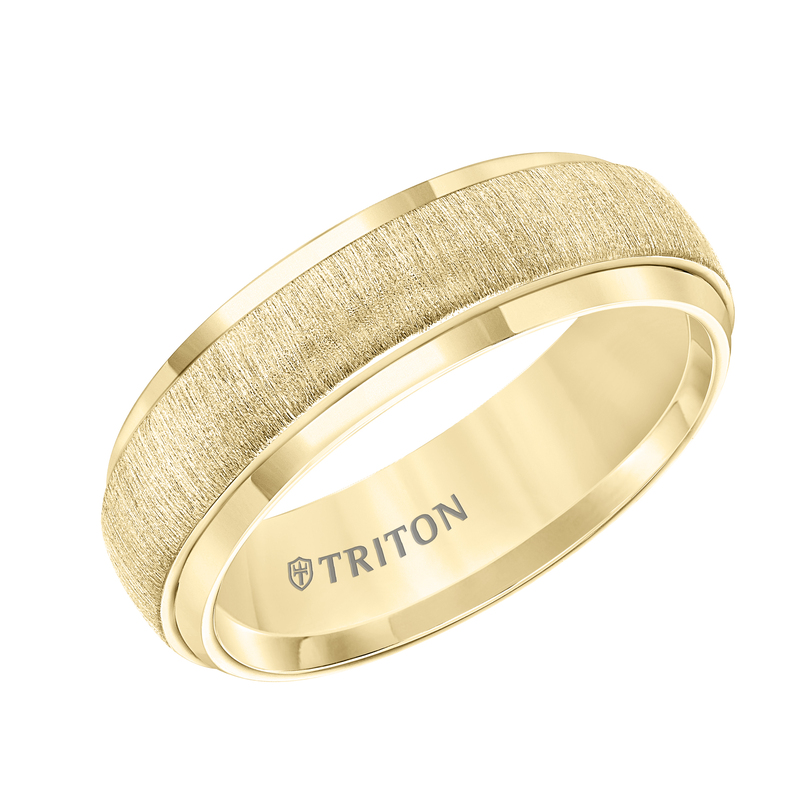 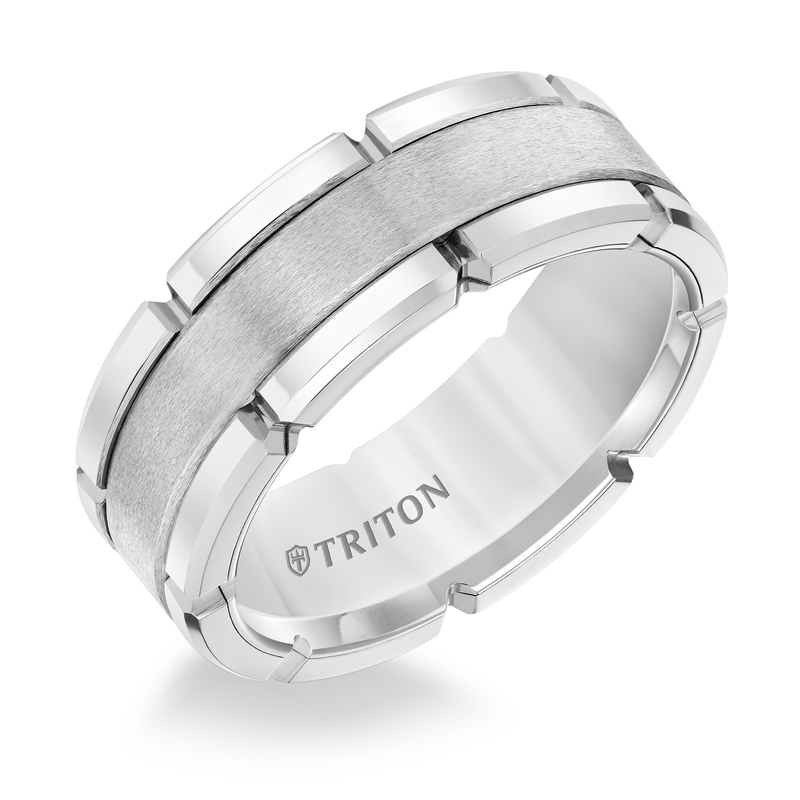 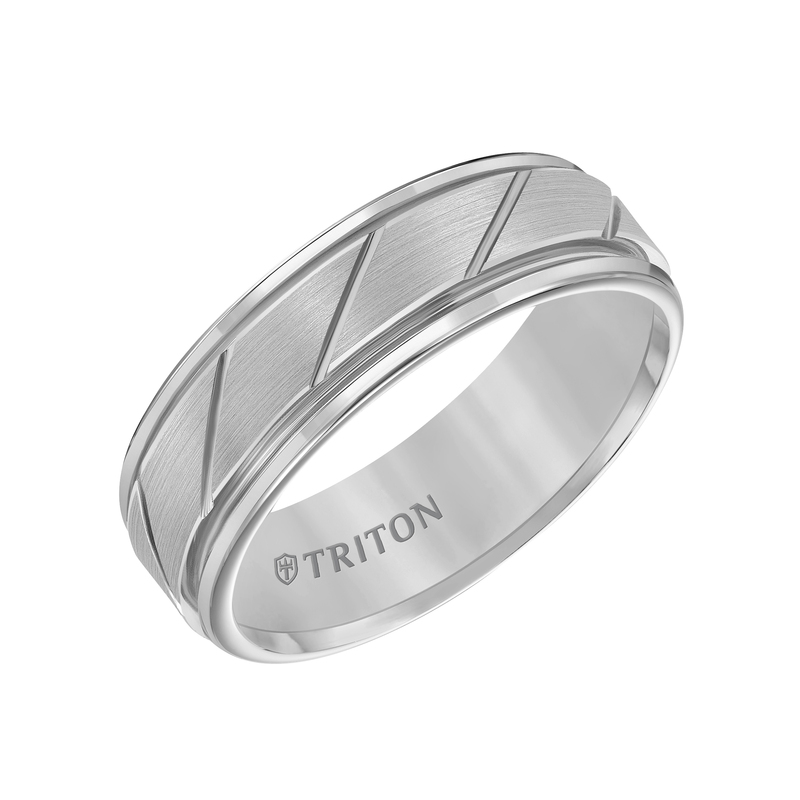 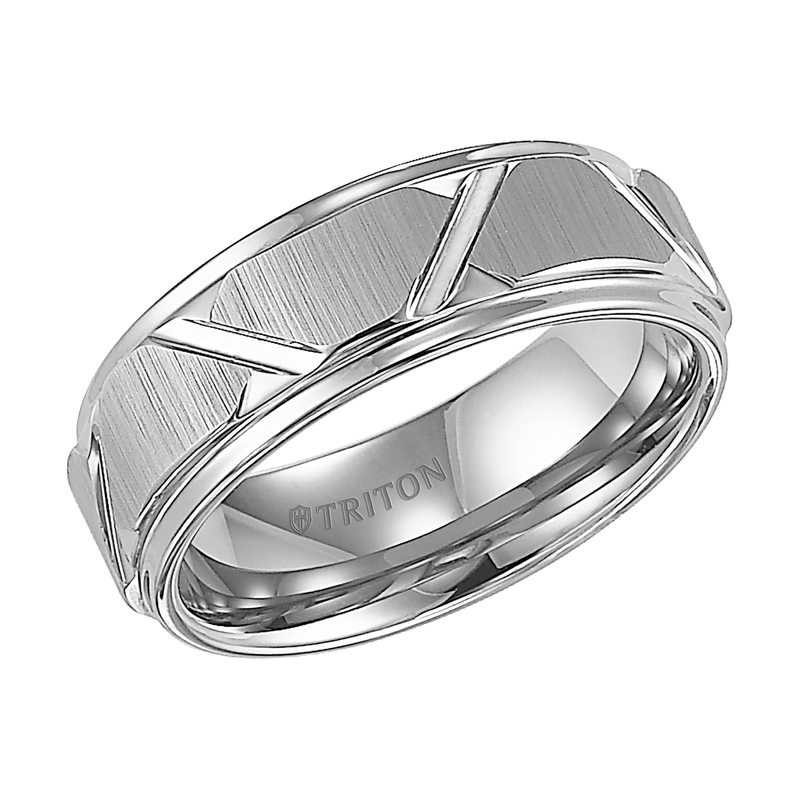 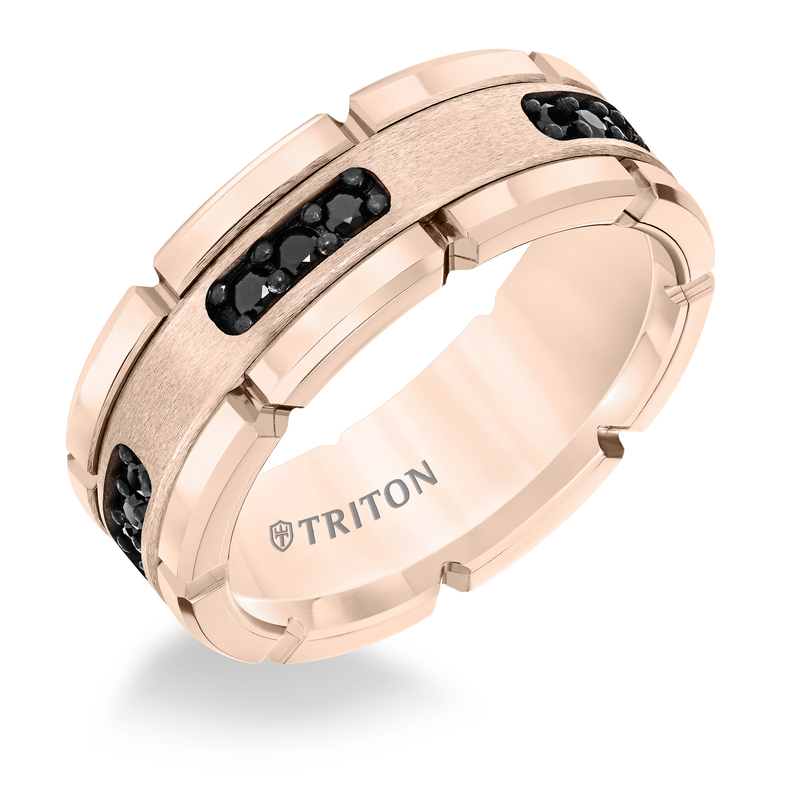 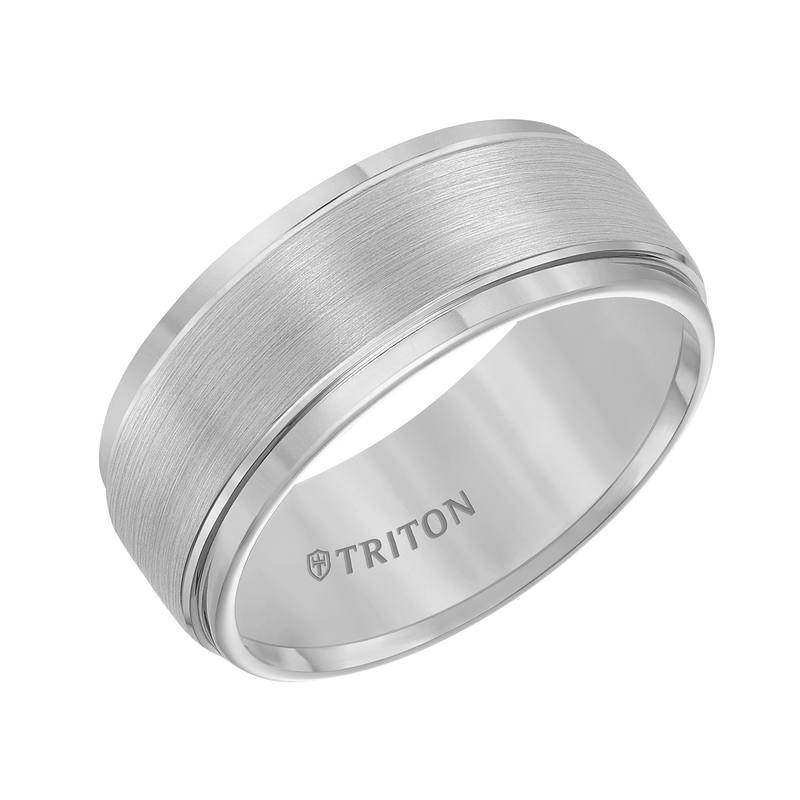 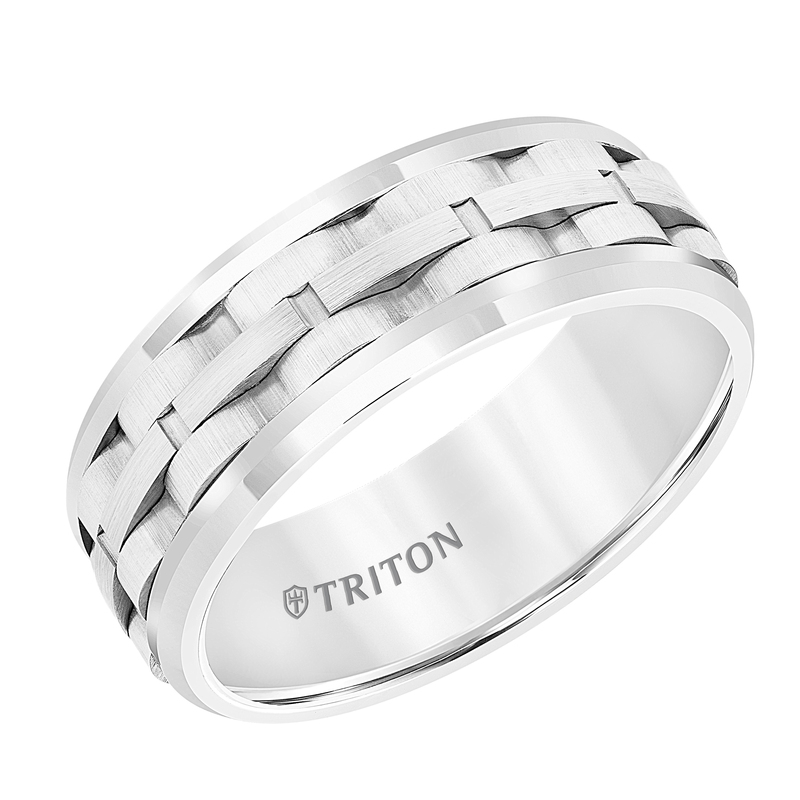 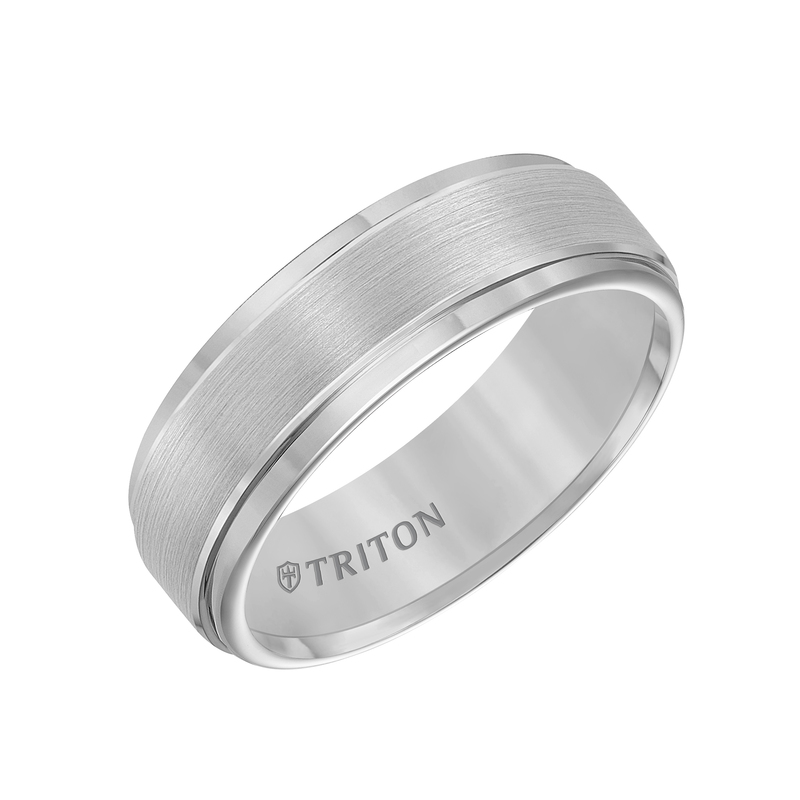 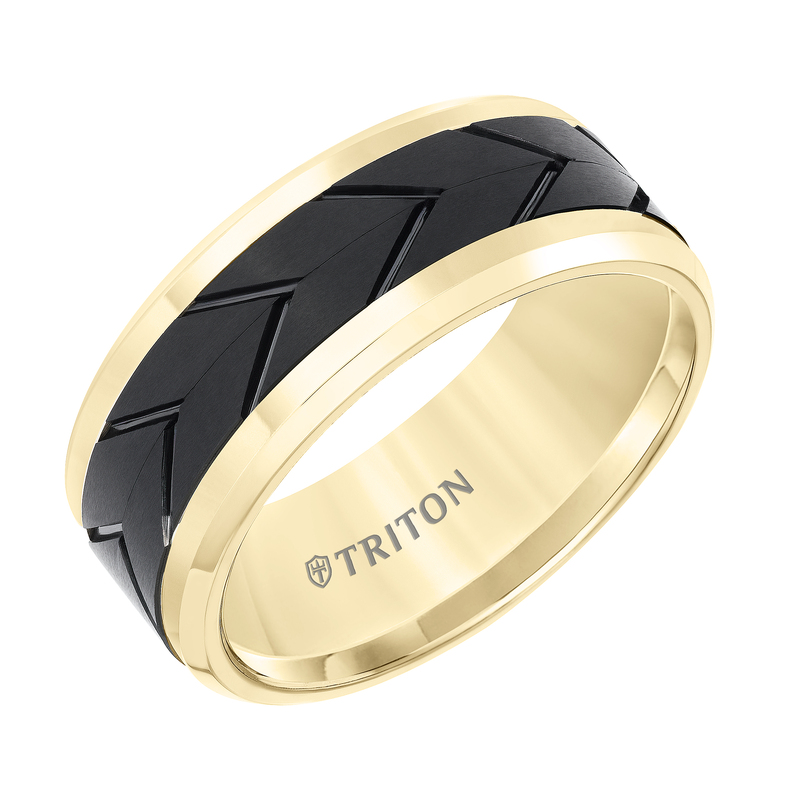 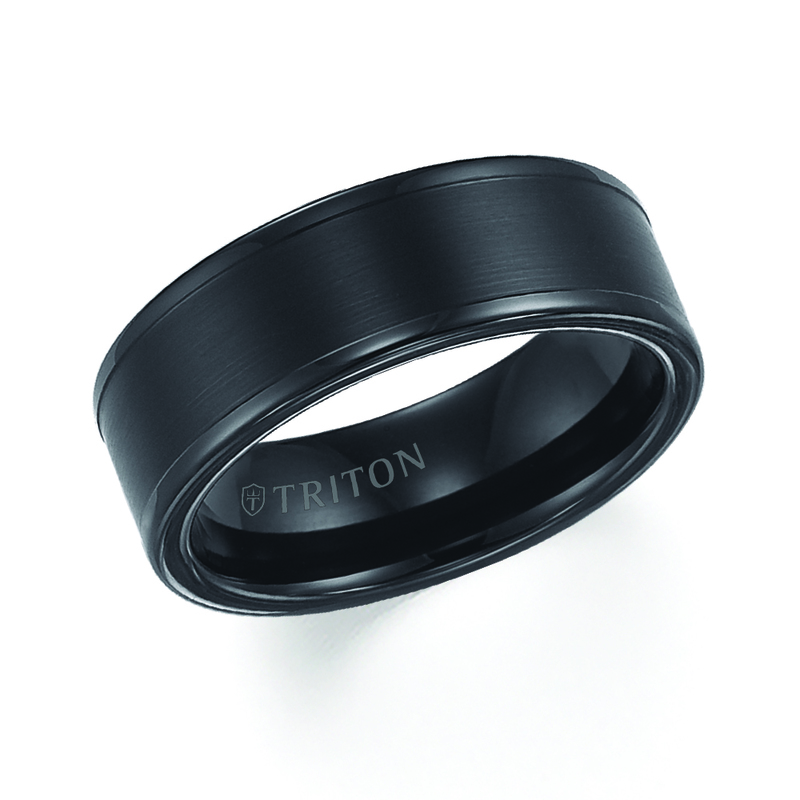 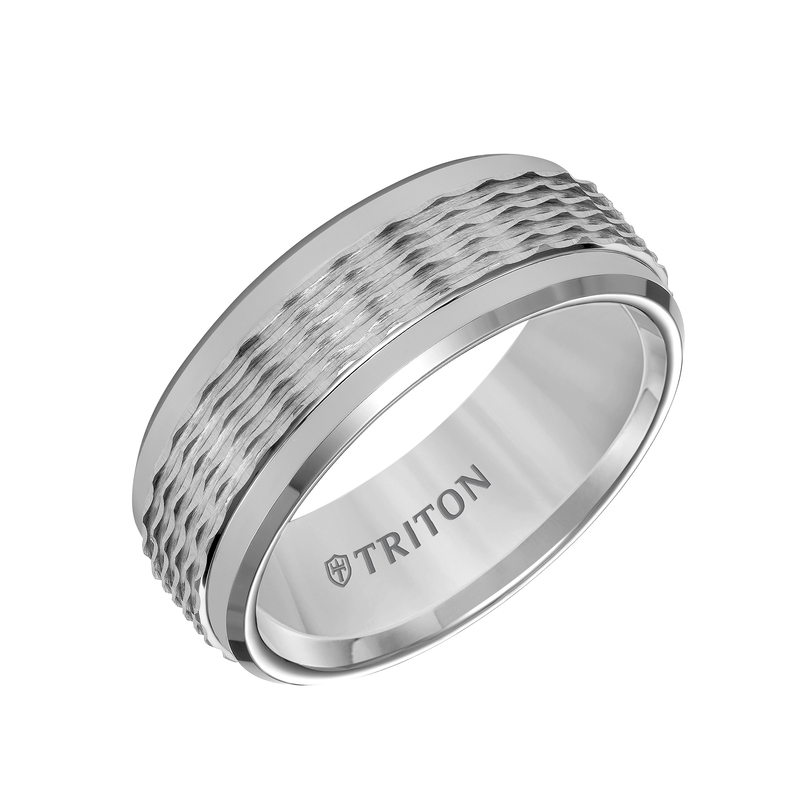 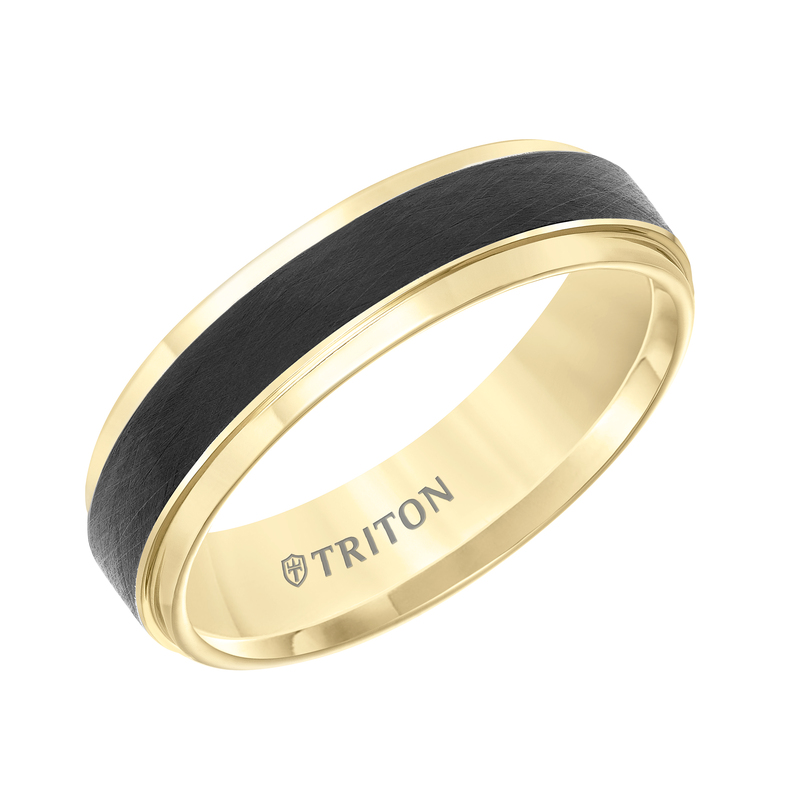 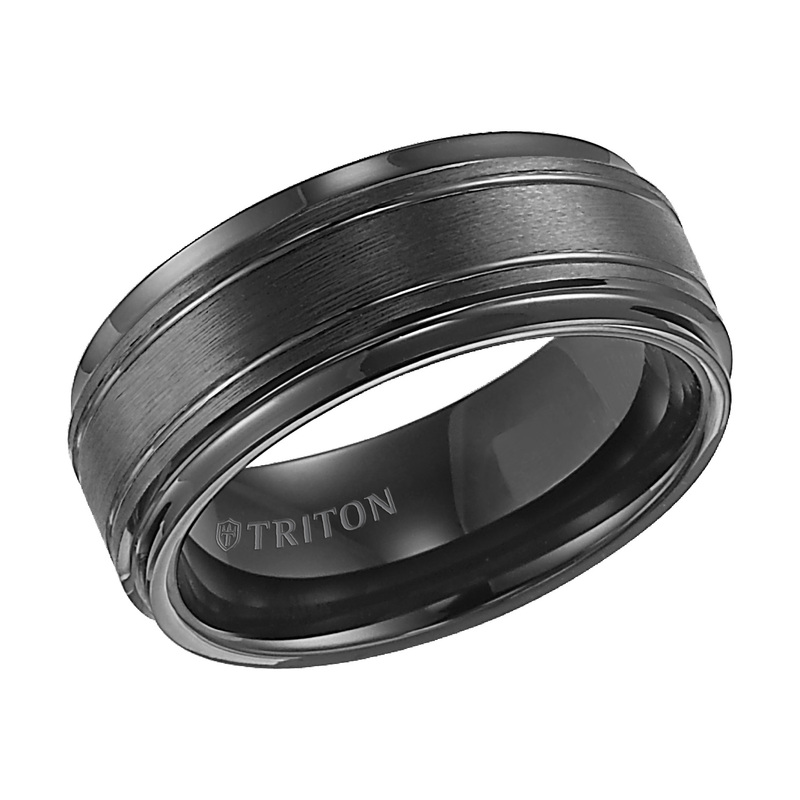 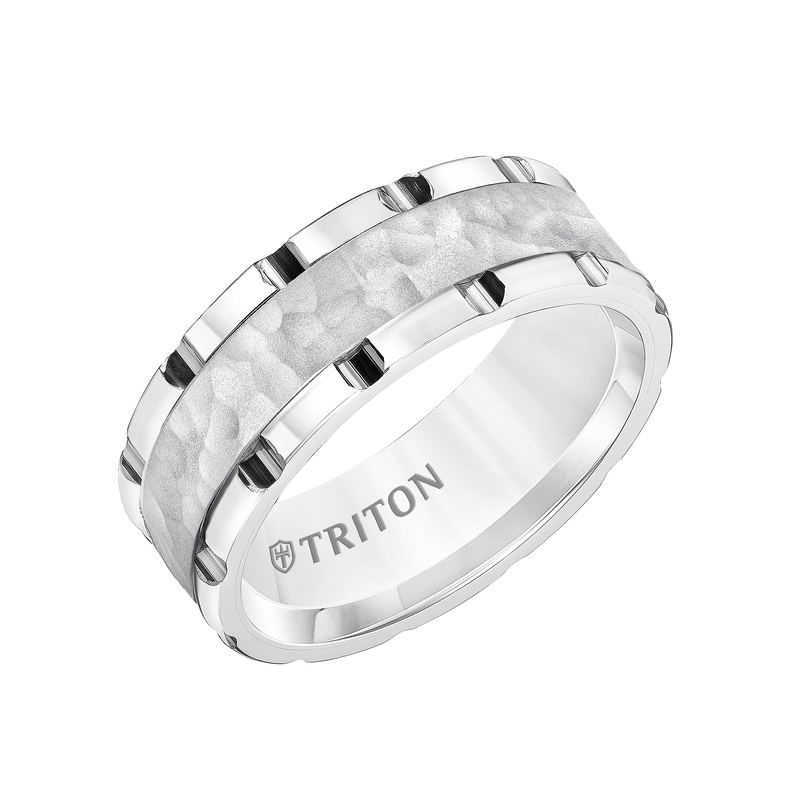 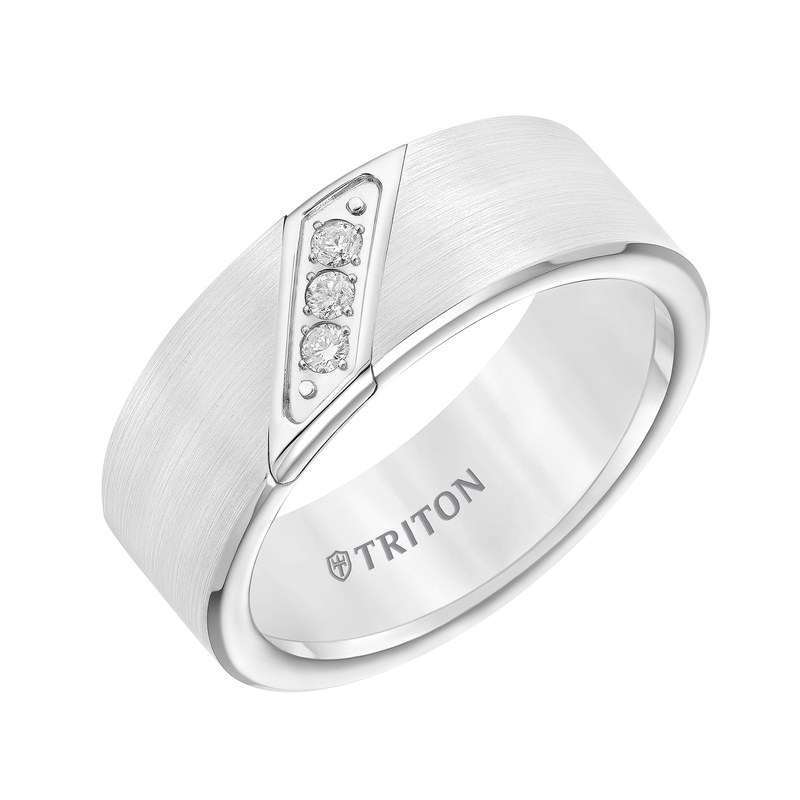 Designed for today’s man, Triton wedding bands are the ultimate jewelry collection that fuses inspired artistry, innovative engineering, and contemporary metals to create bold statements. It’s strength meets style, backed by our master craftsmanship and uncompromising attention to detail because it’s the details that make the man. 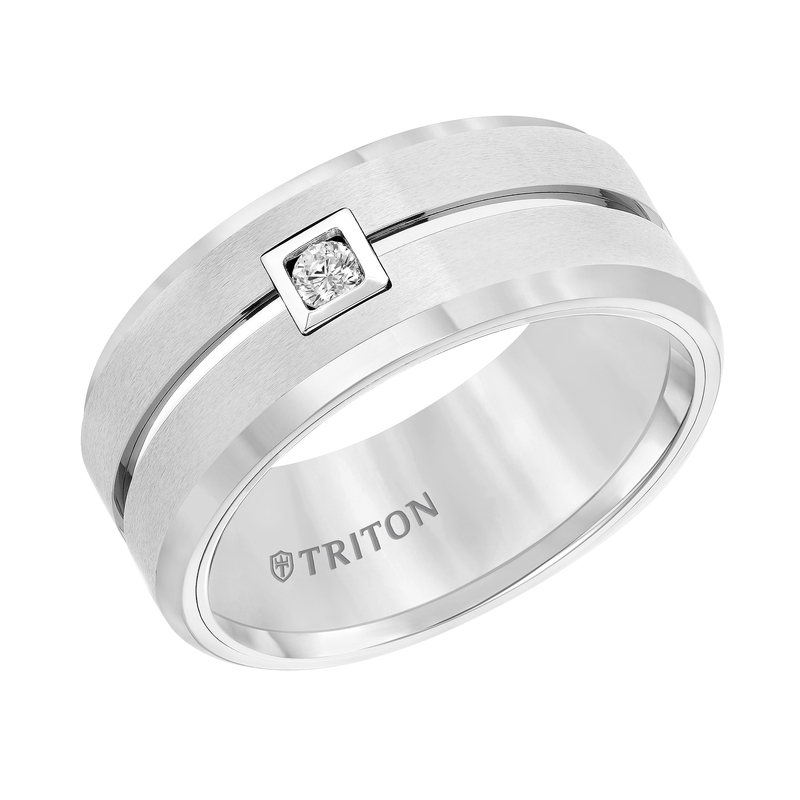 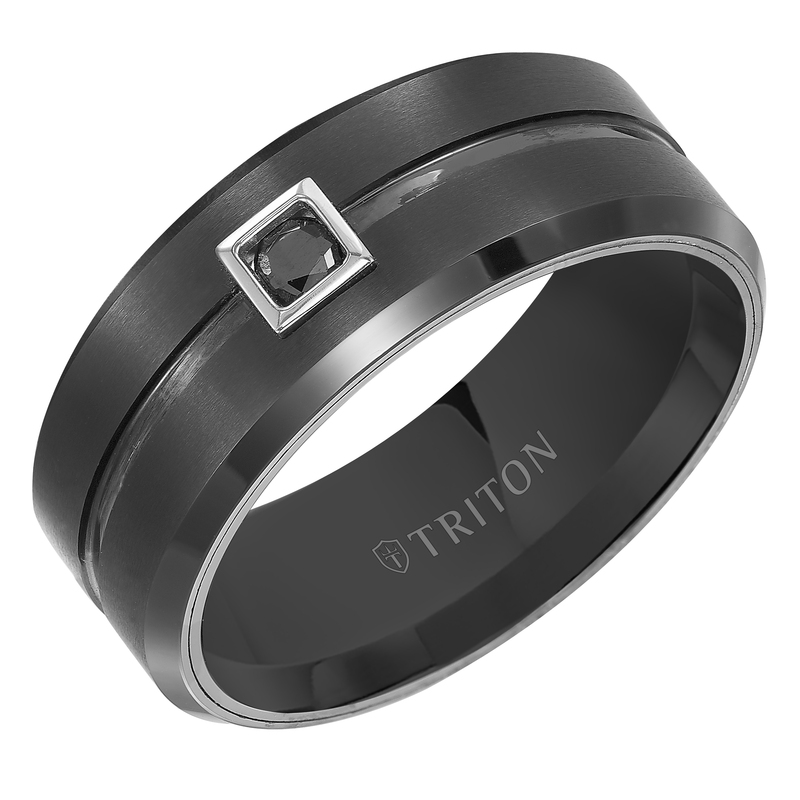 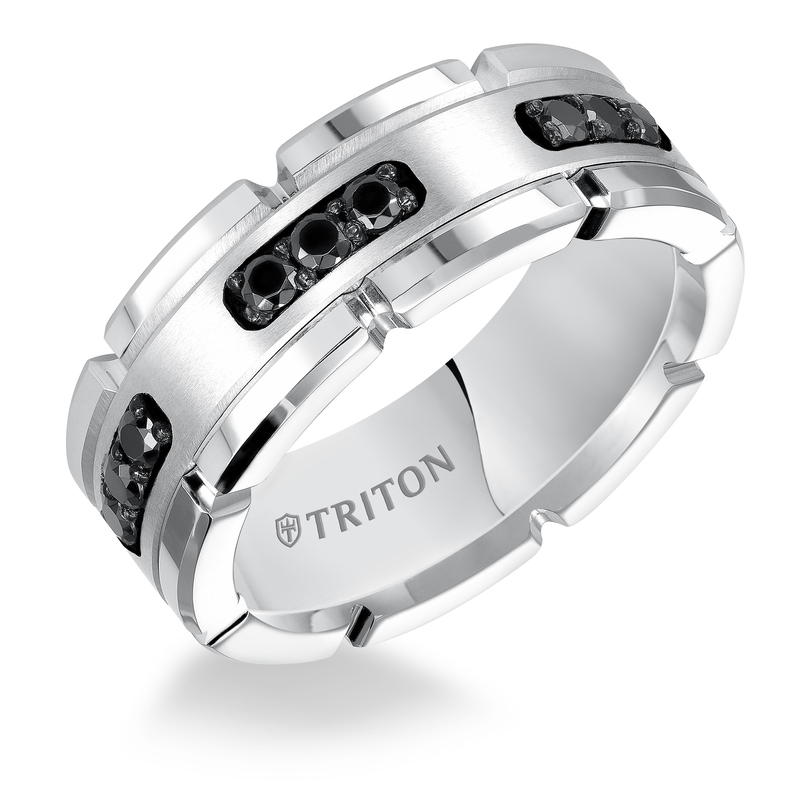 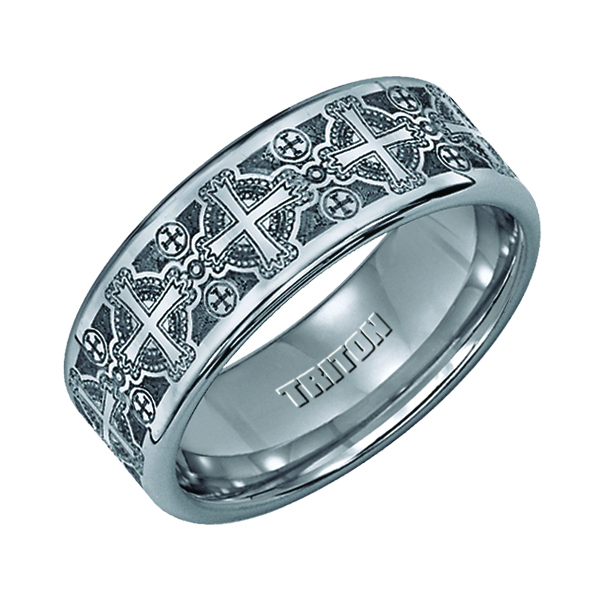 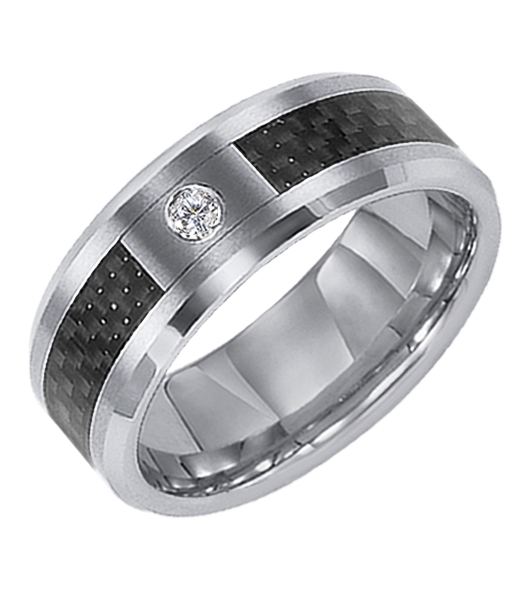 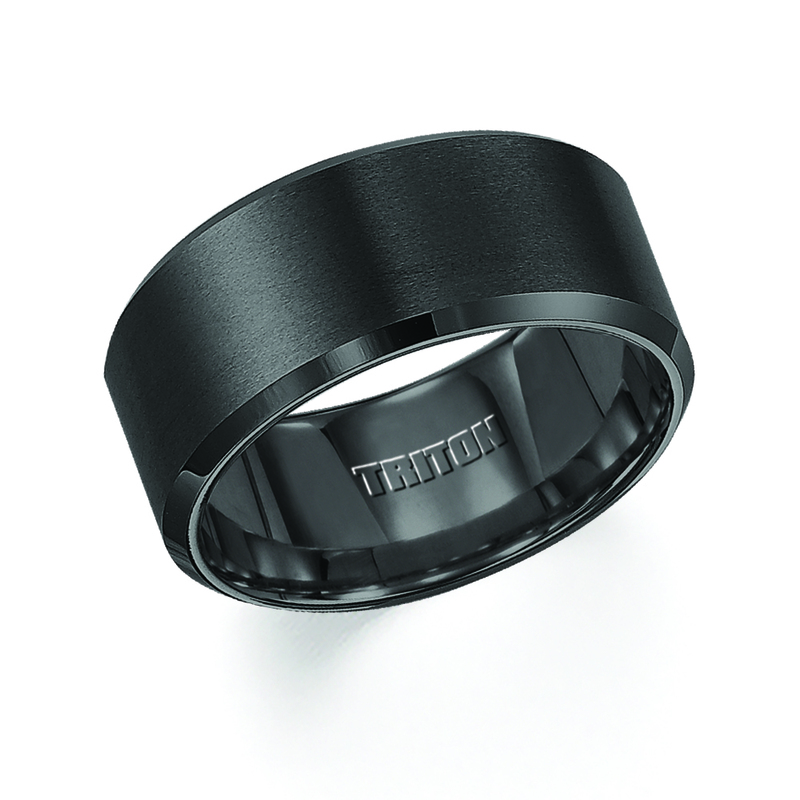 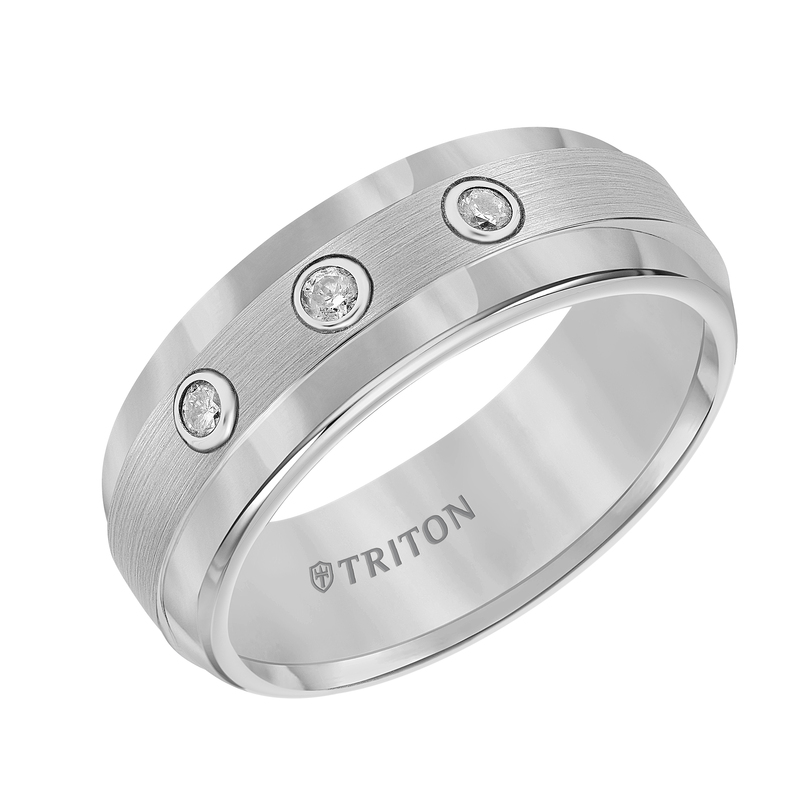 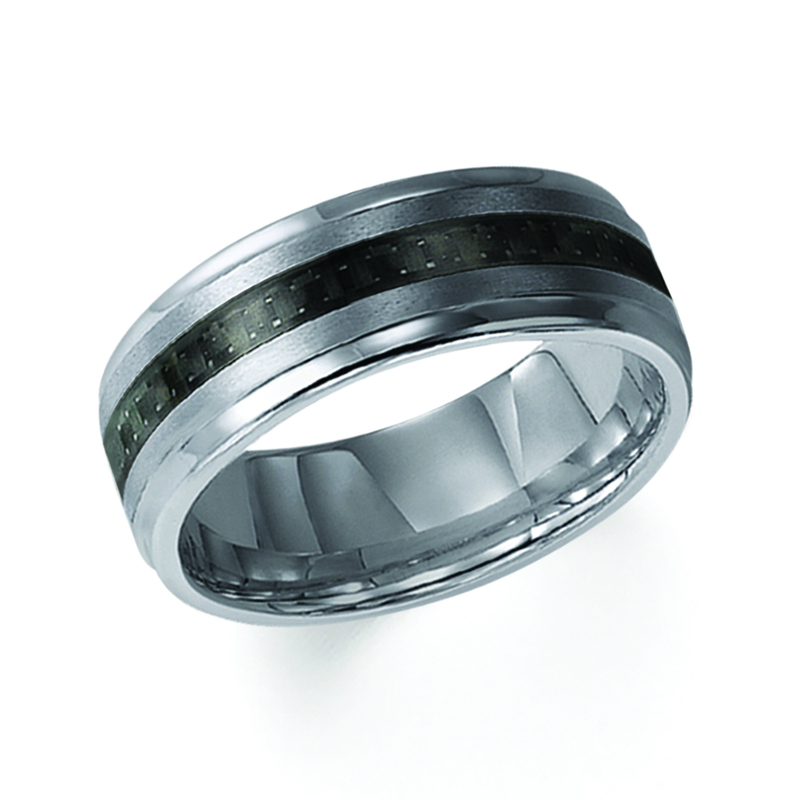 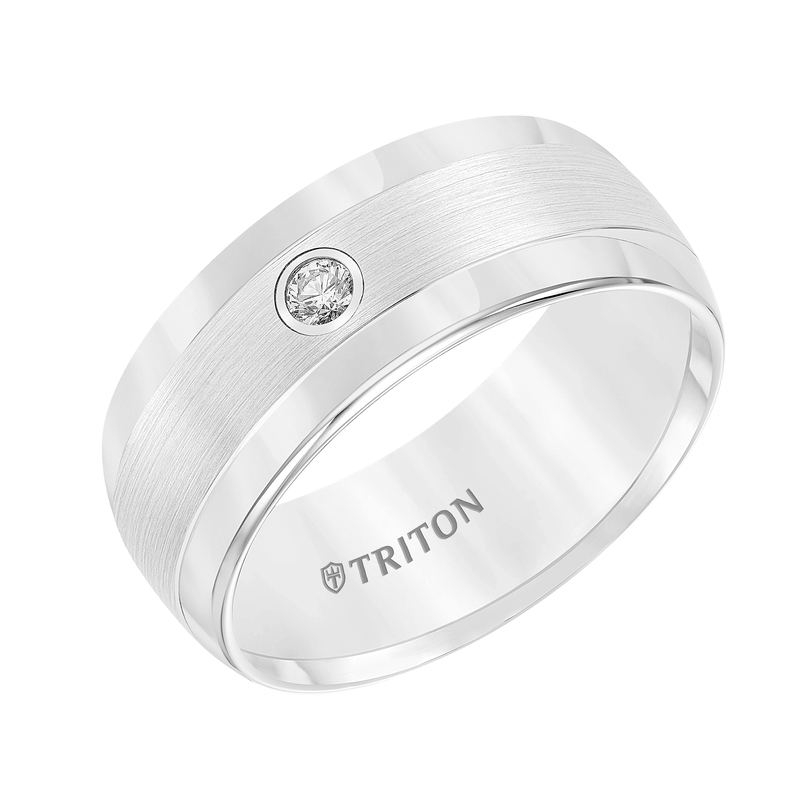 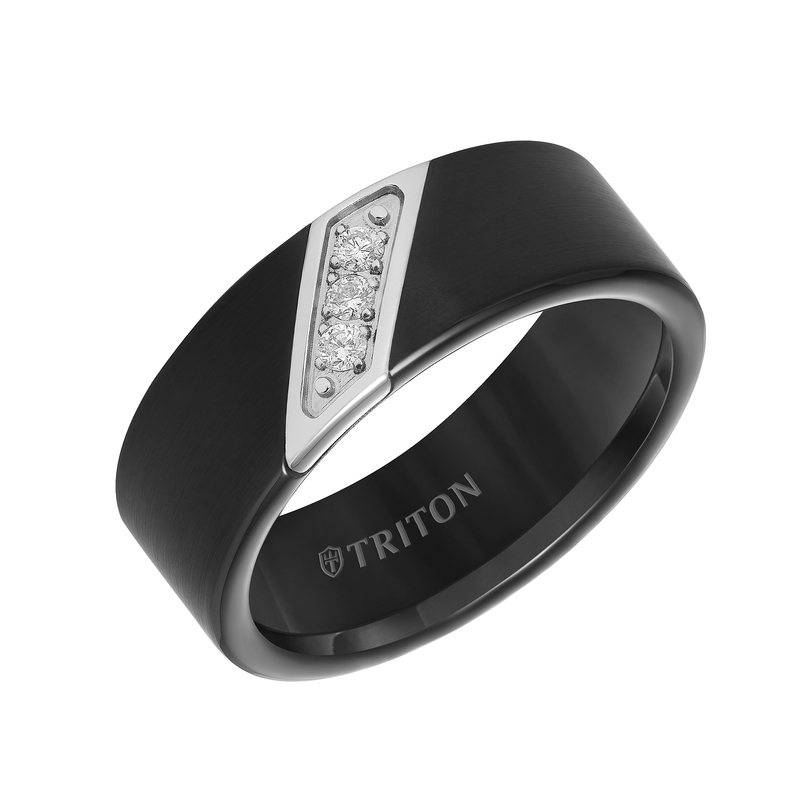 8mm White tungsten carbide satin finish band with diagonal diamonds set in stainless steel.